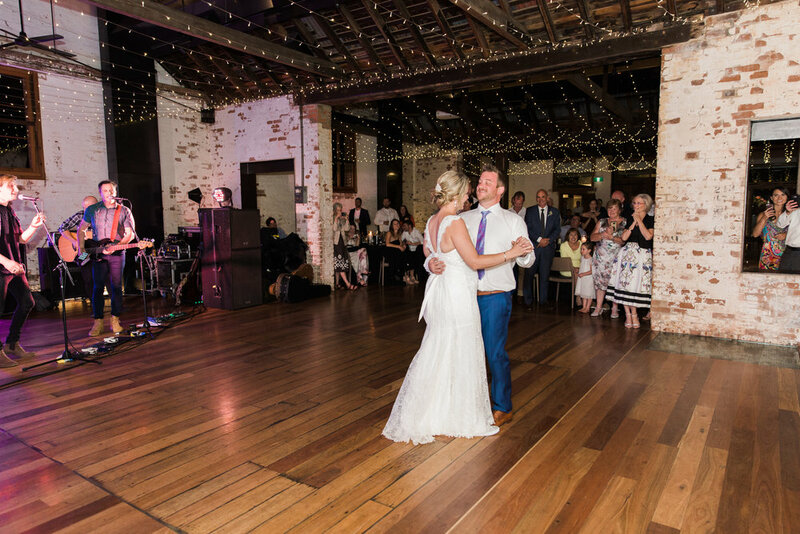 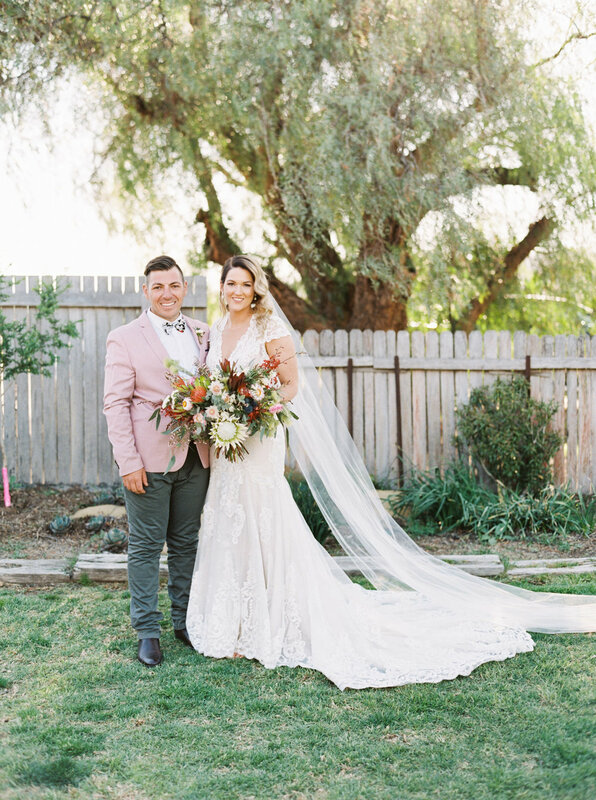 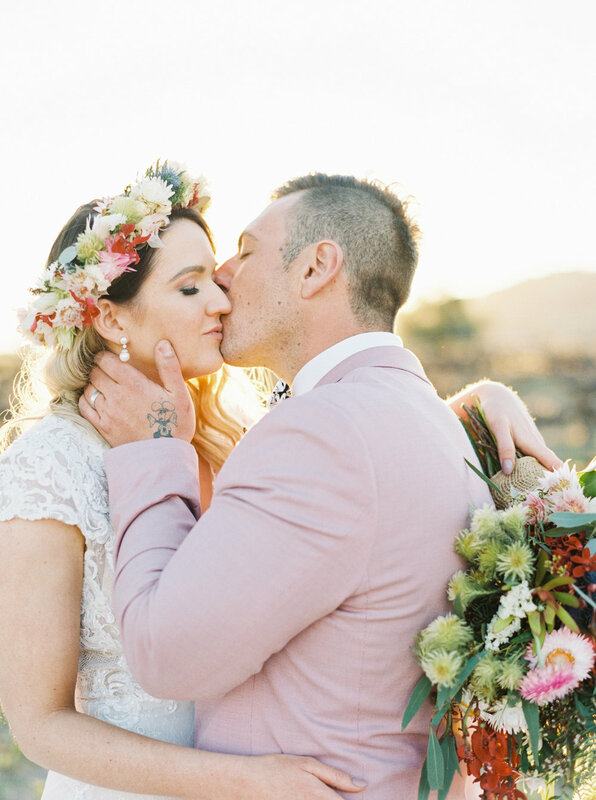 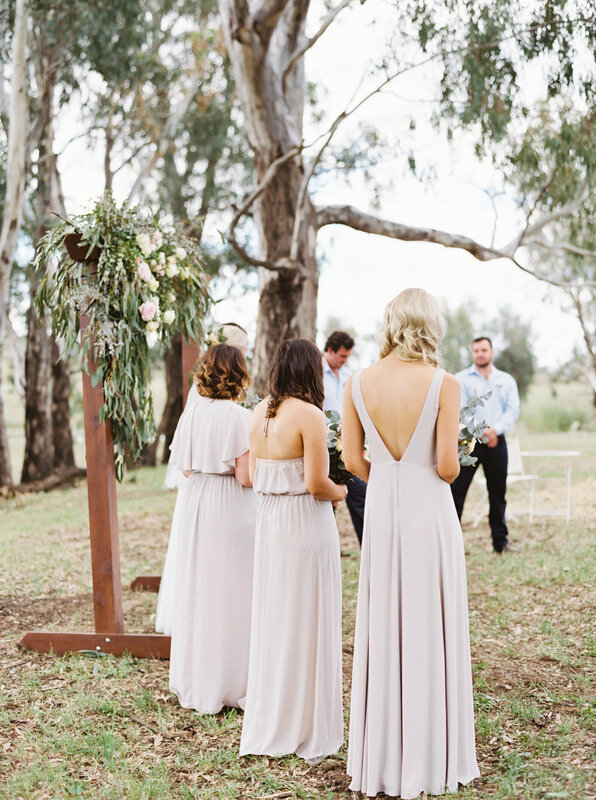 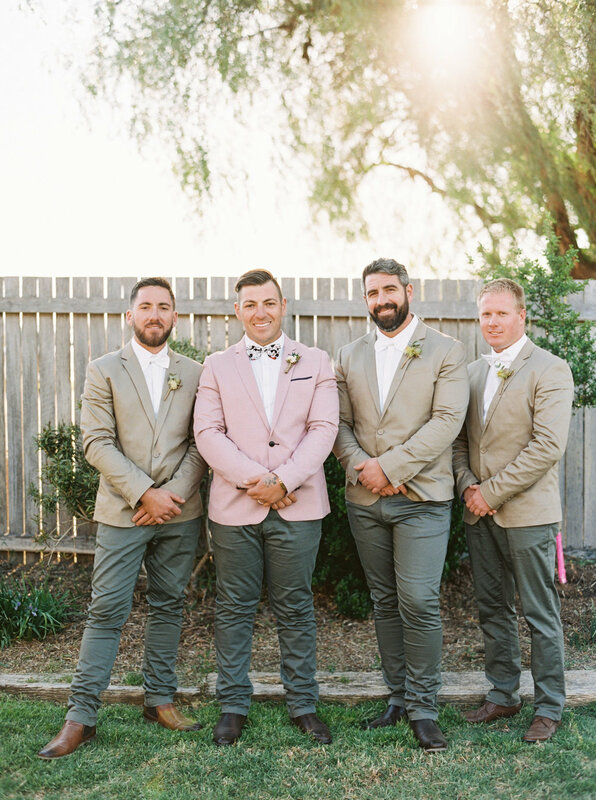 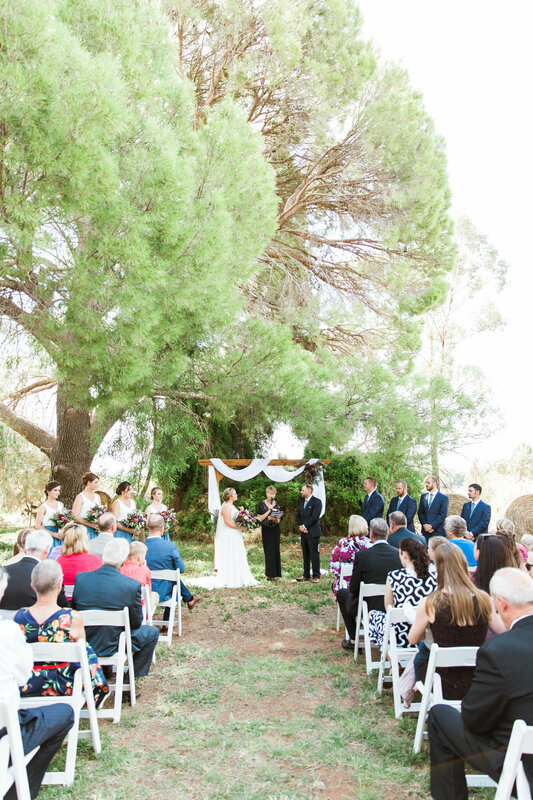 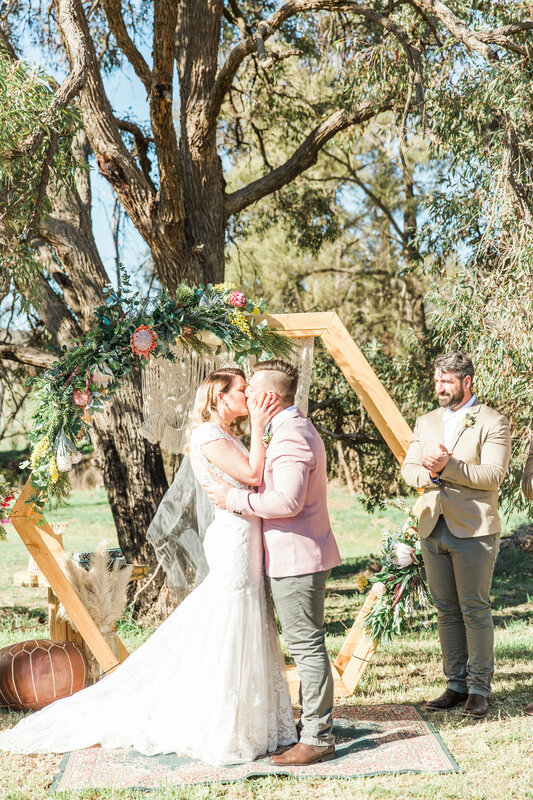 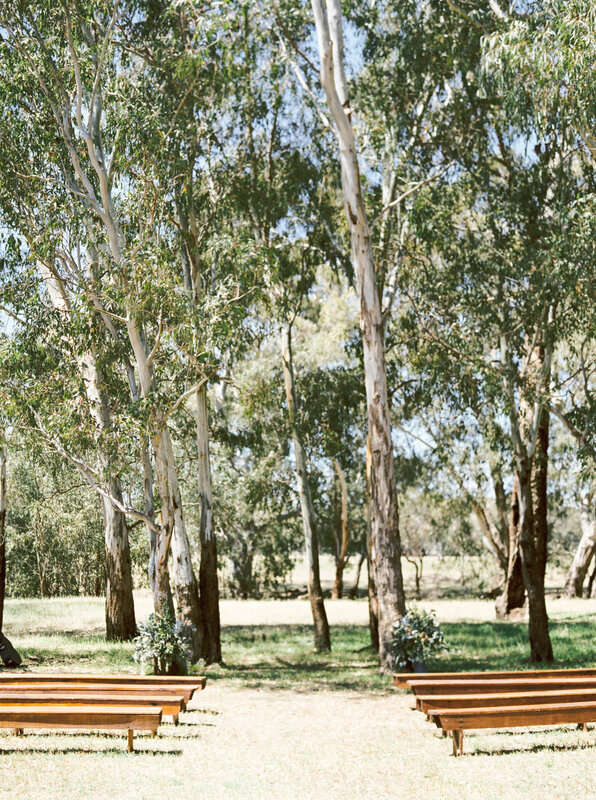 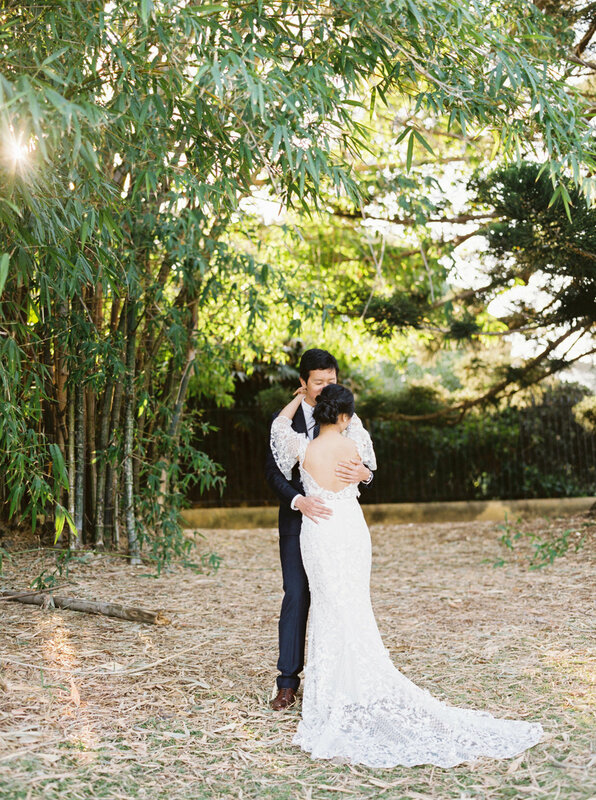 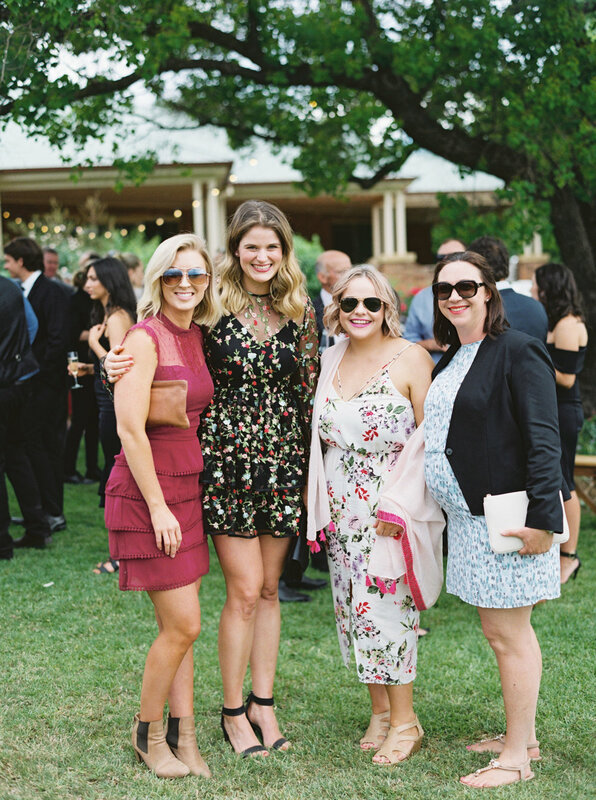 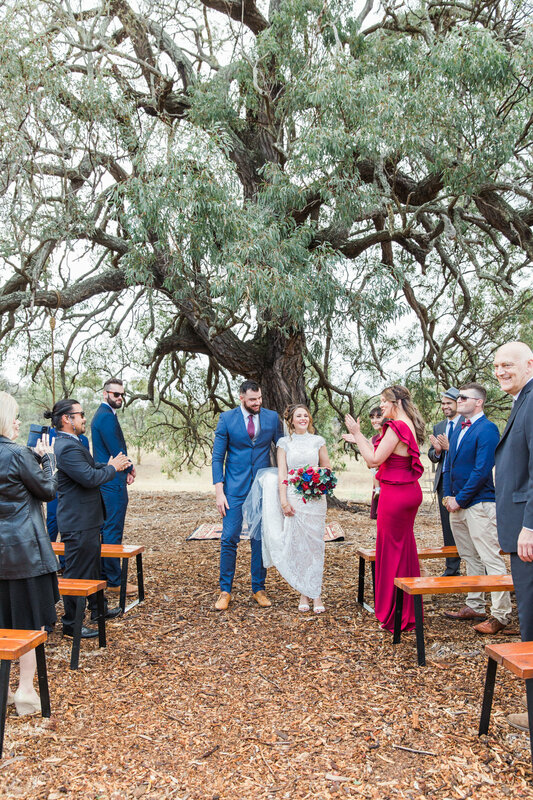 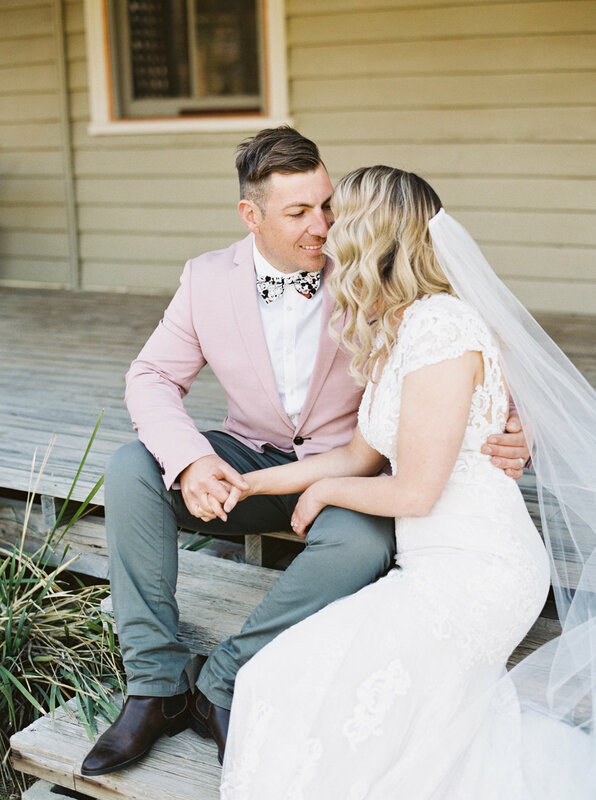 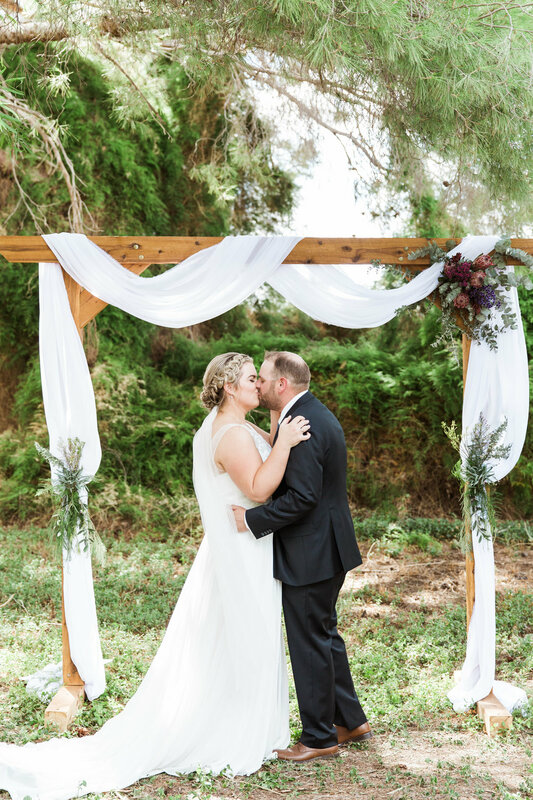 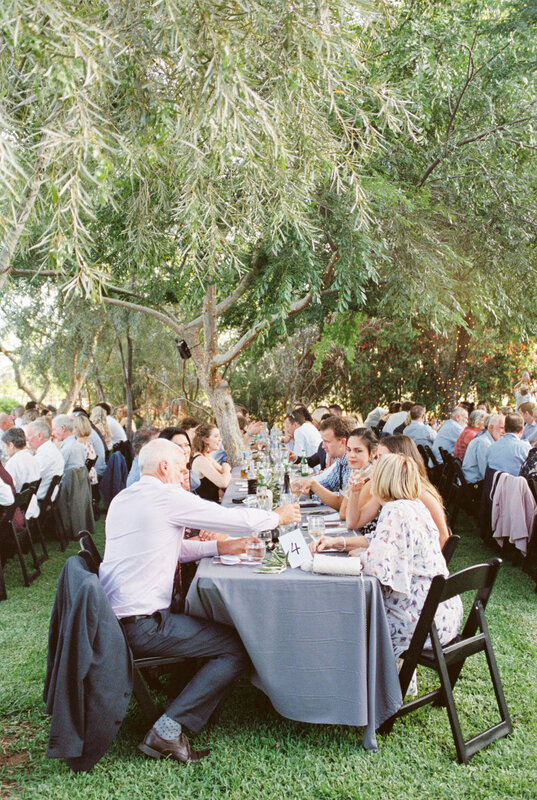 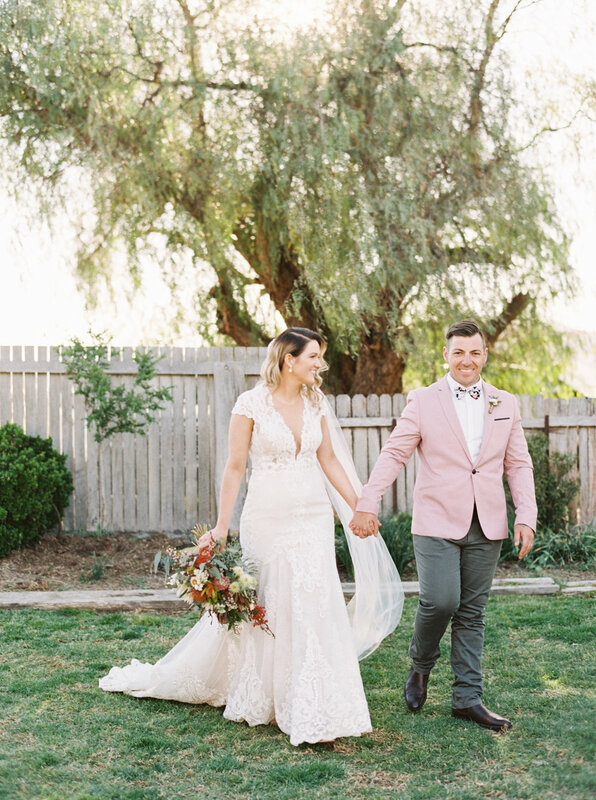 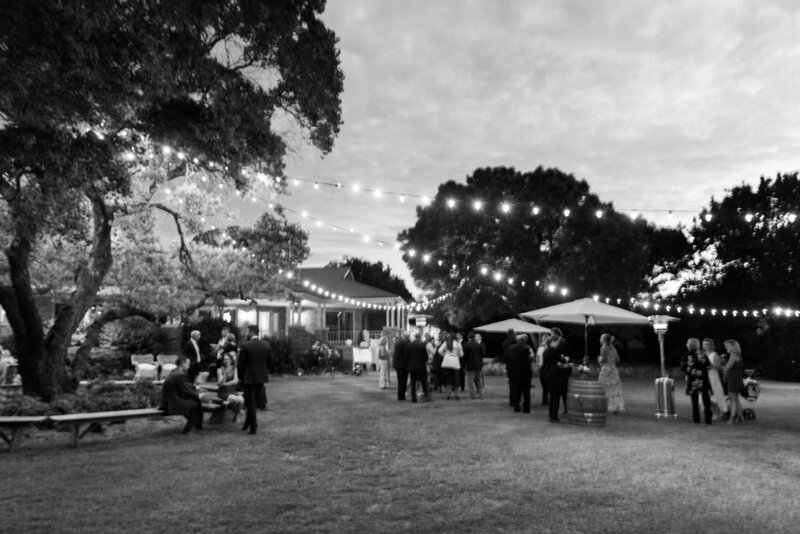 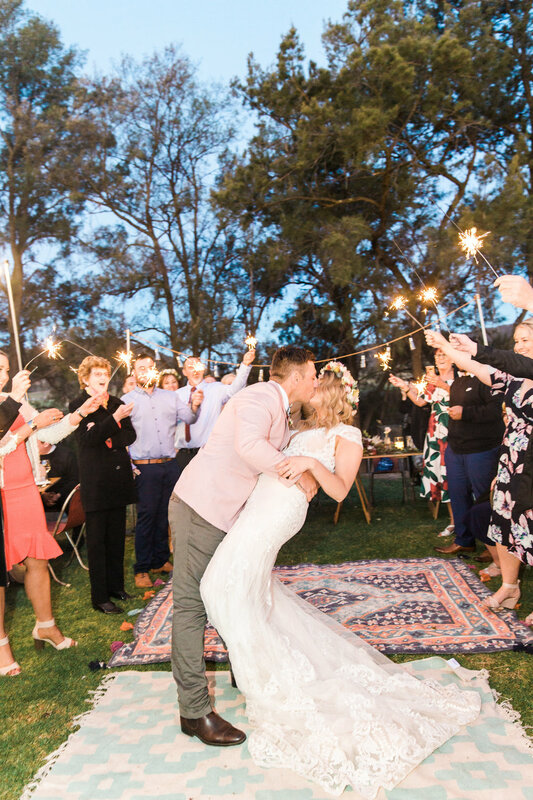 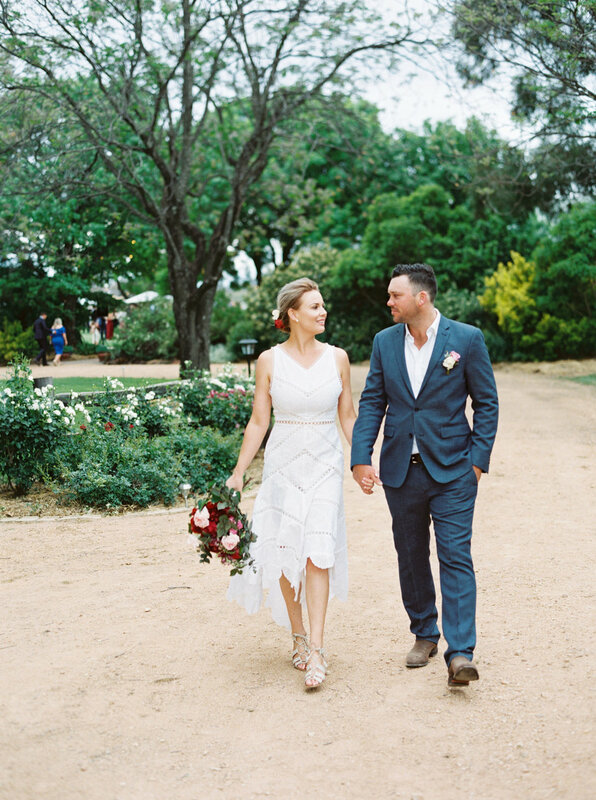 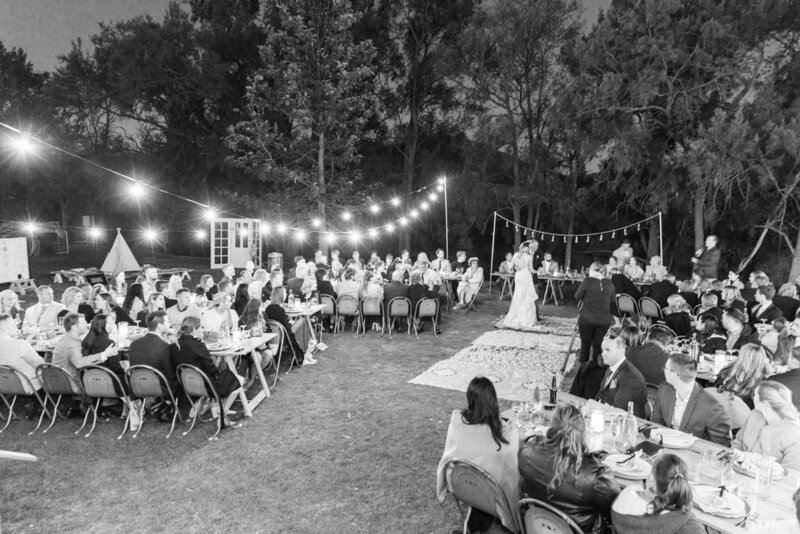 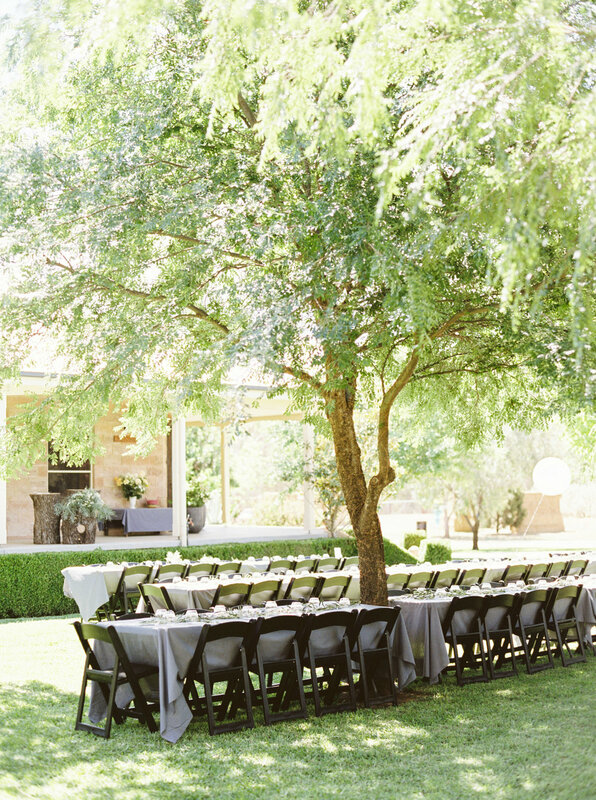 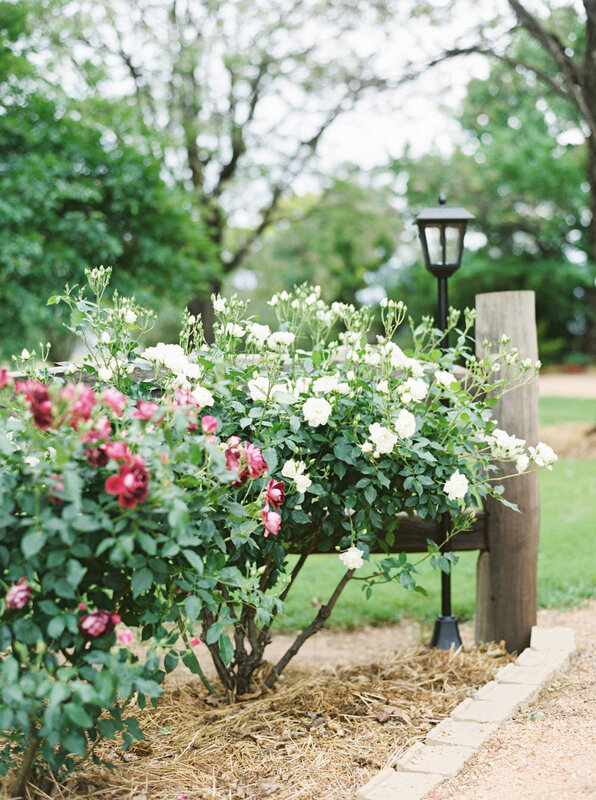 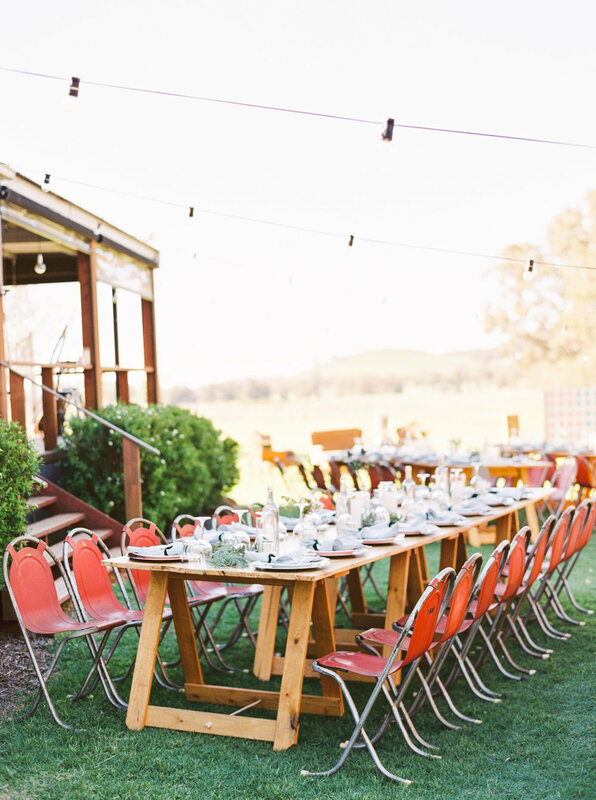 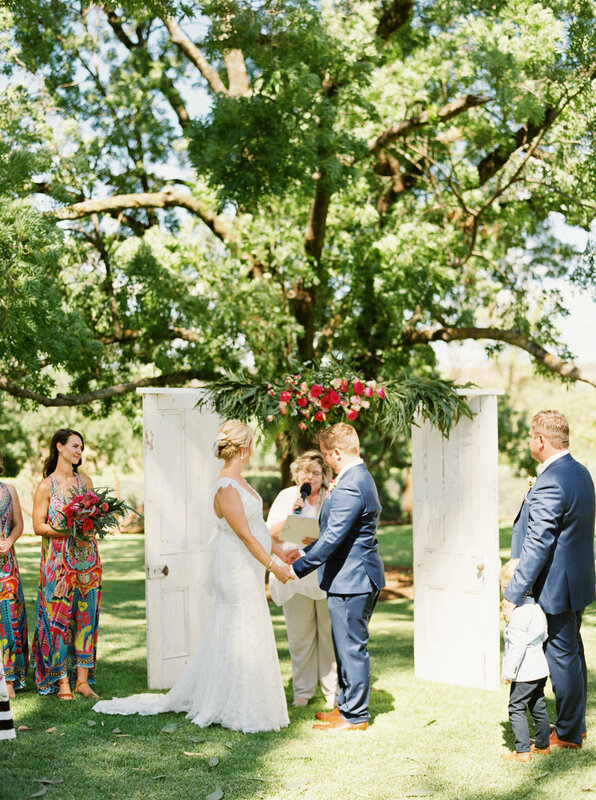 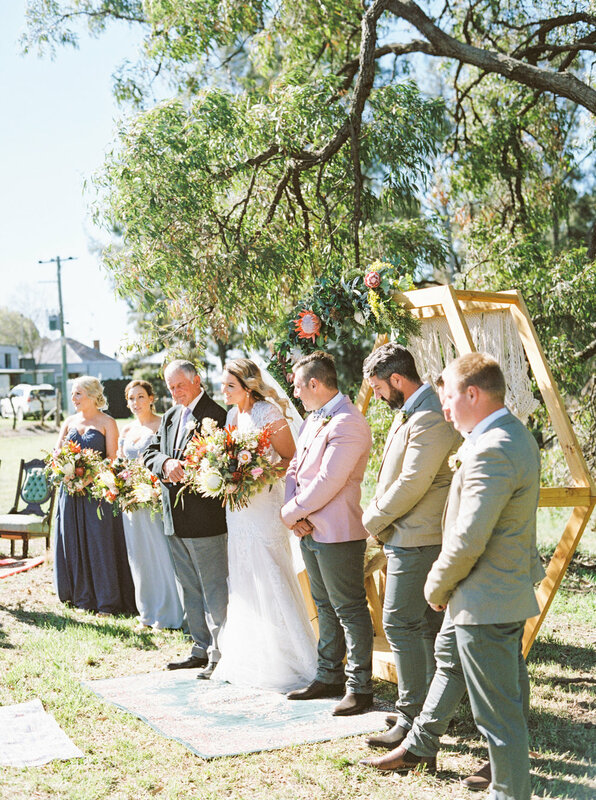 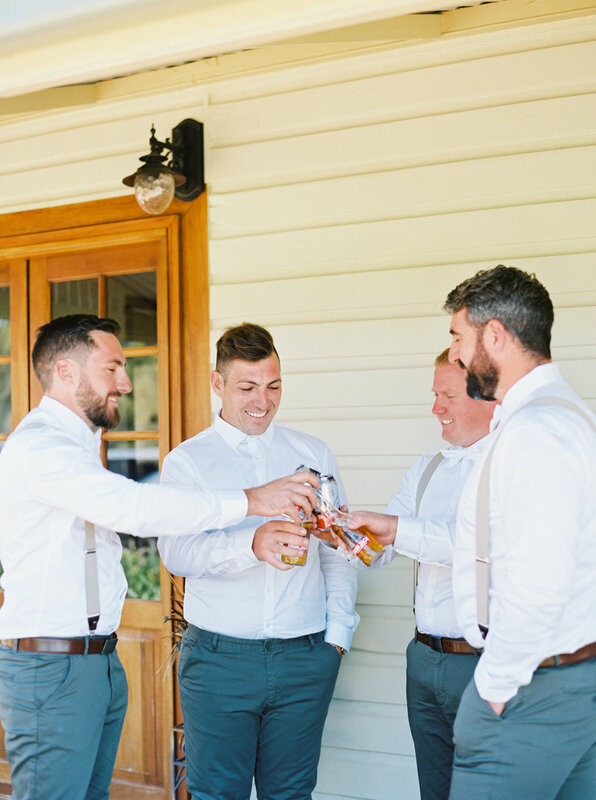 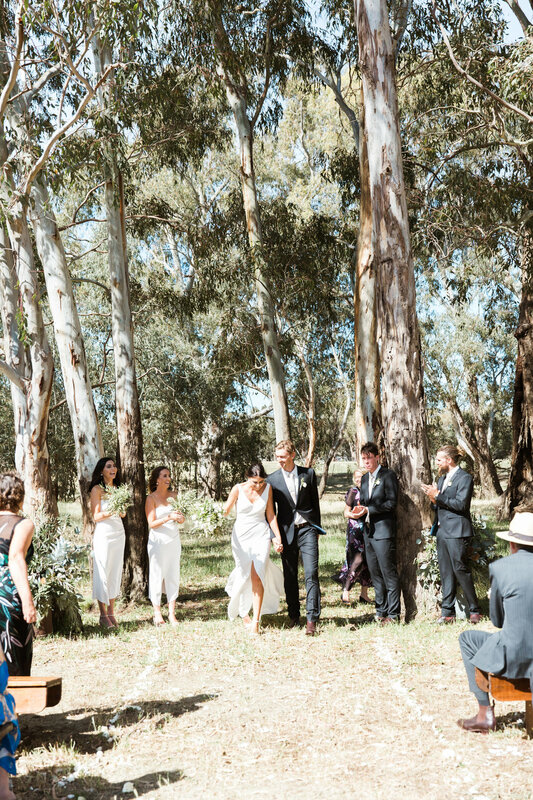 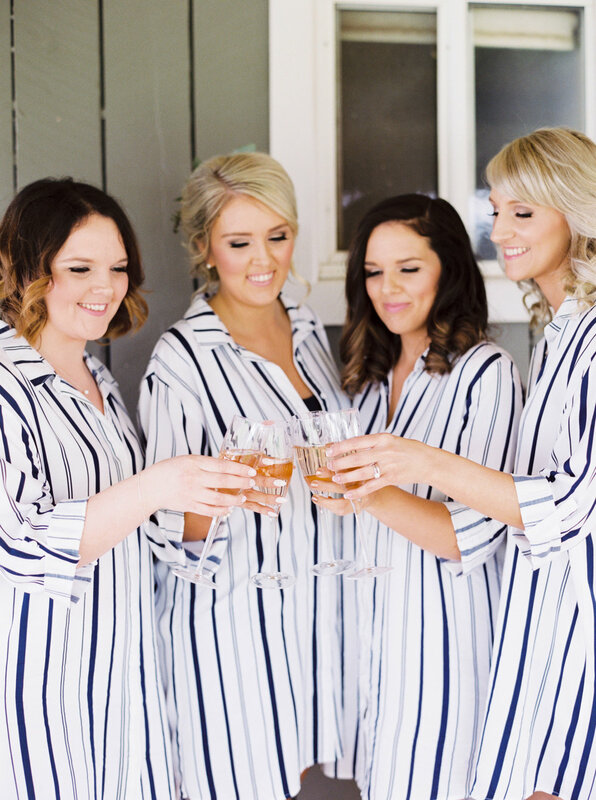 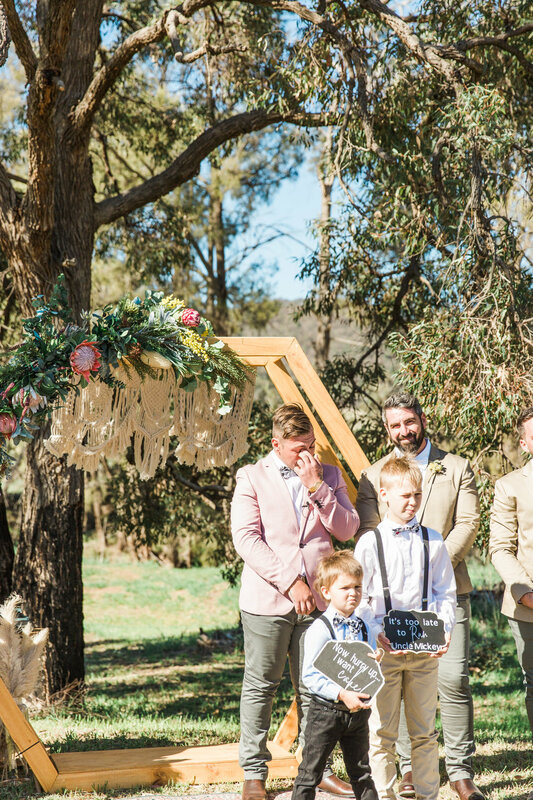 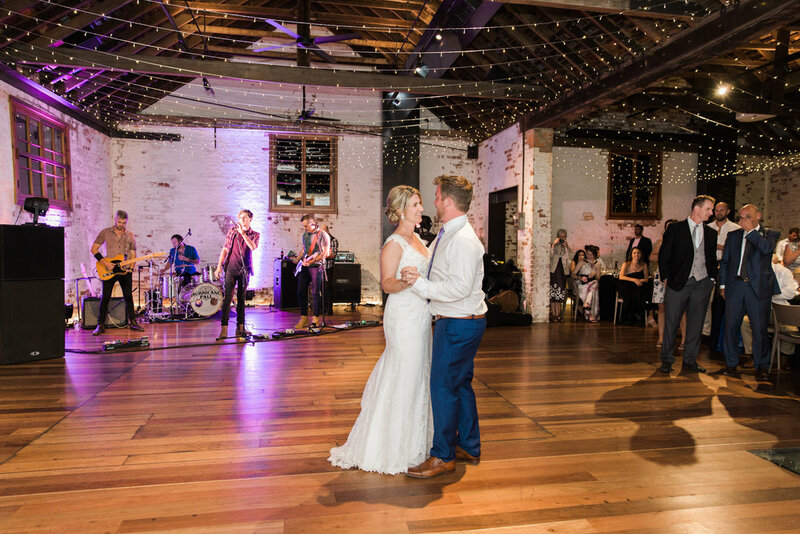 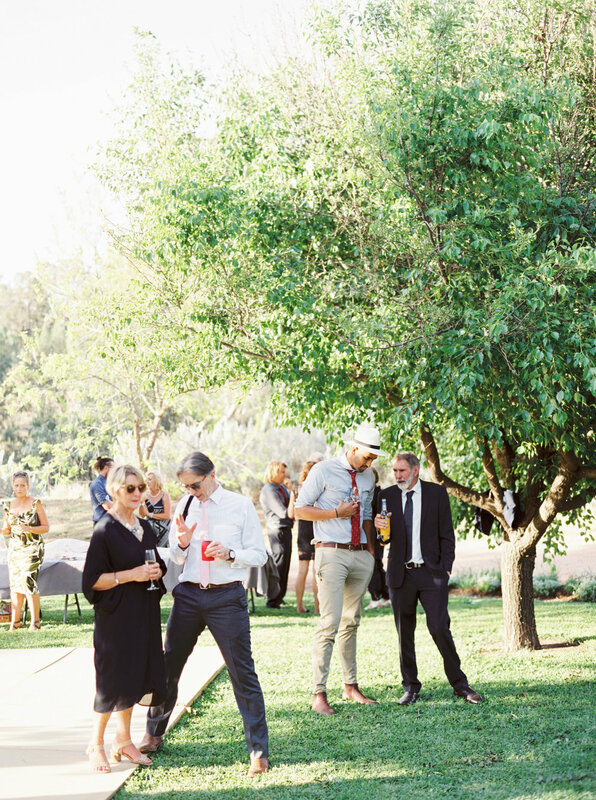 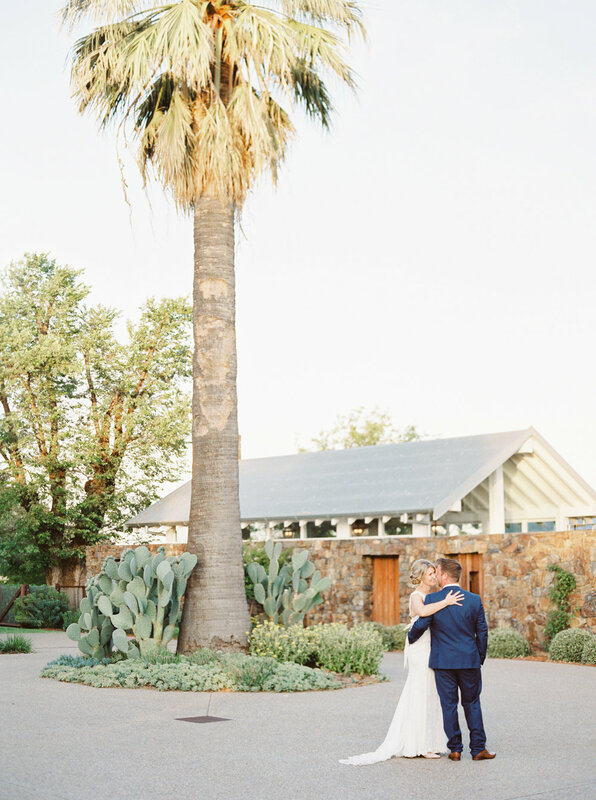 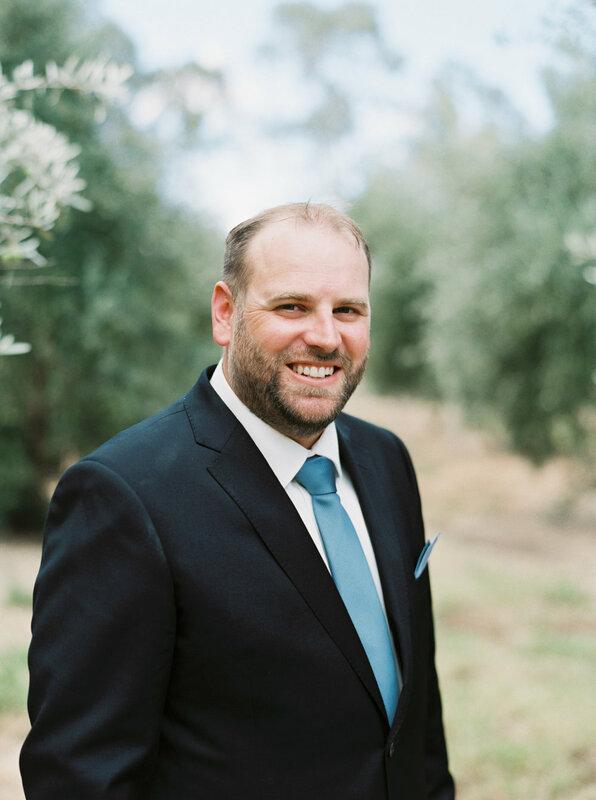 Under the shade of a beautiful tree, beneath a hand-crafted native arbour, Megan and Andy were the picture of style at their recent wedding at Goonoo Goonoo Station in Tamworth NSW. 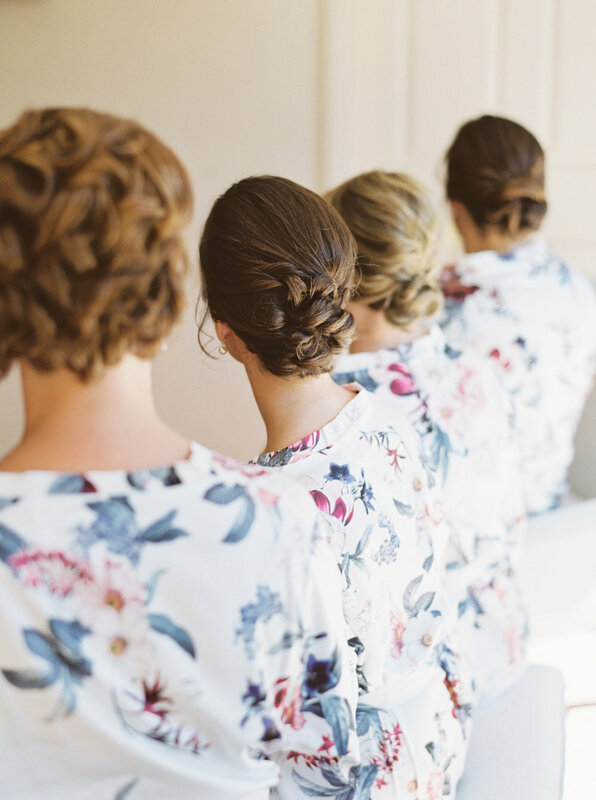 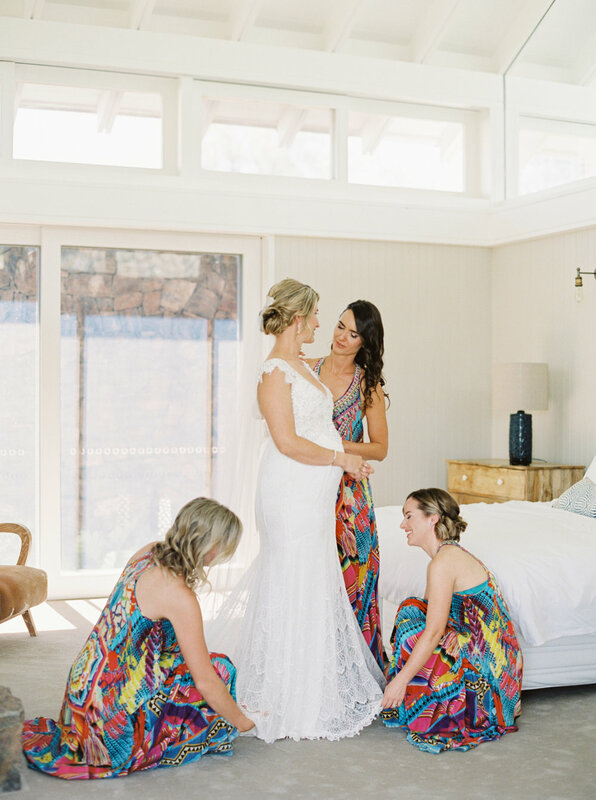 The bride was radiant, dressed by Anna Campbell who also handcrafted many of the fine art details, while the bridesmaids popped in the tastefully chosen Camilla dresses. 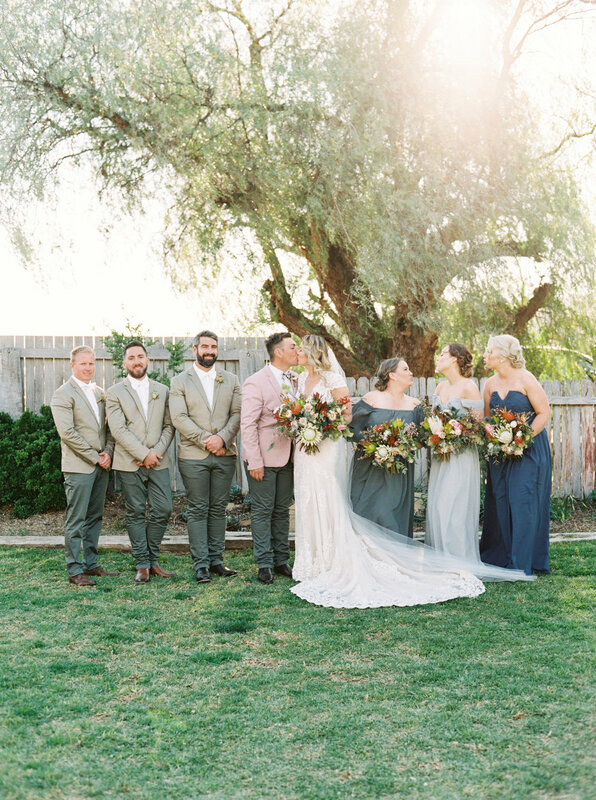 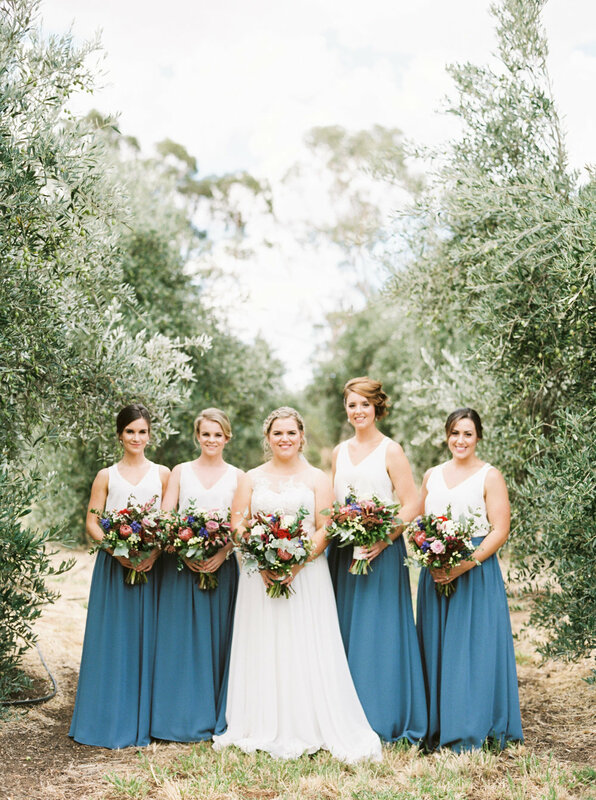 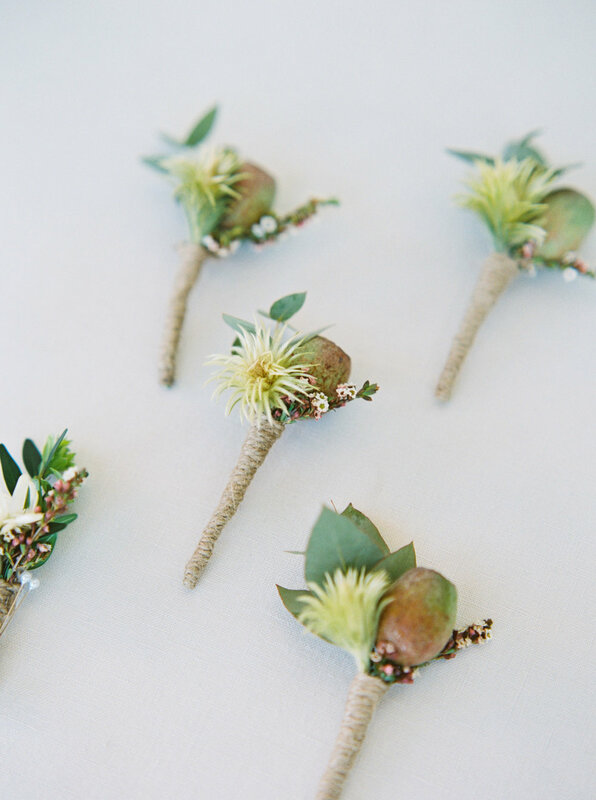 Beautiful native blooms complimented the spark of personality that was provided by the gorgeous gowns of the bridesmaids. 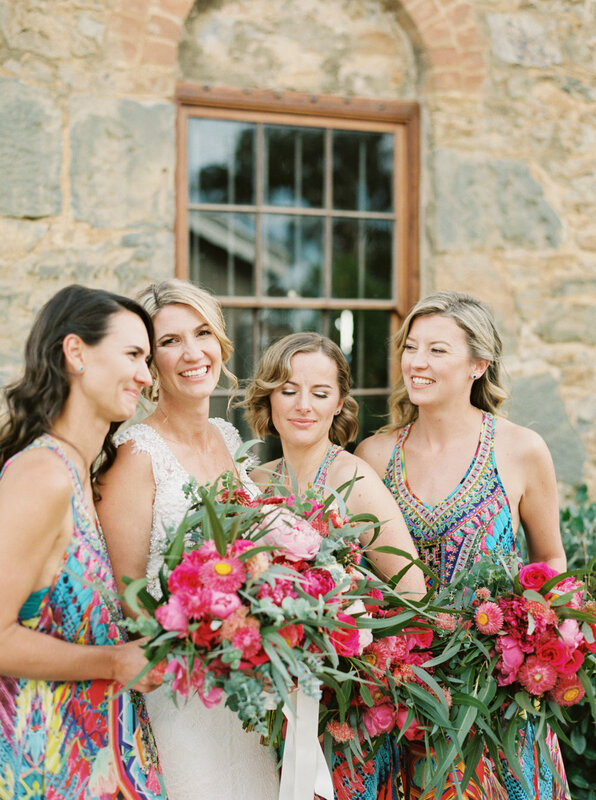 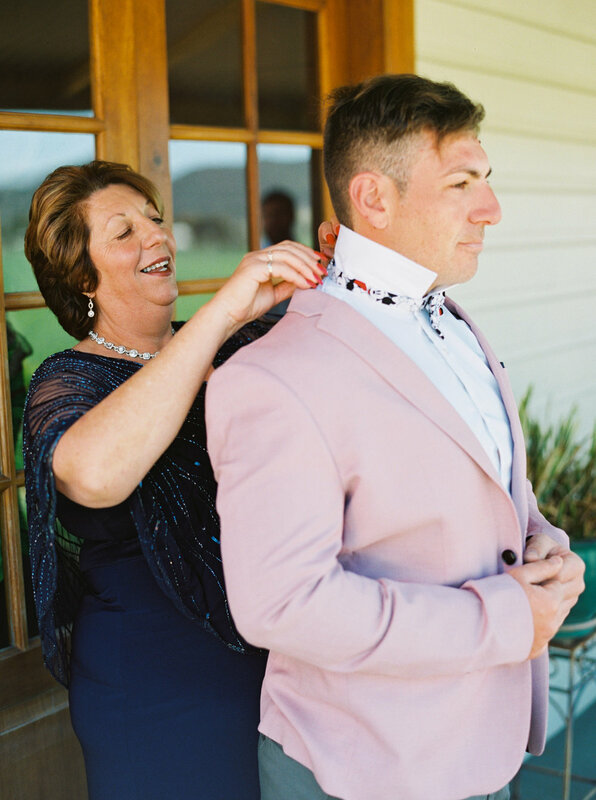 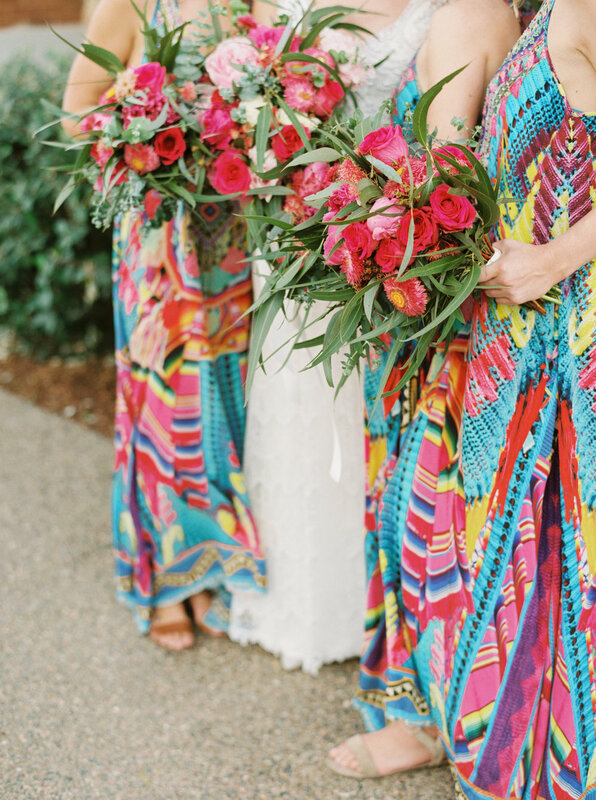 While Megan may have been nervous about the splash of cheeky colour, the bride’s sister persuaded her to add a signature touch and incorporate her bright & beautiful personality through these pieces. 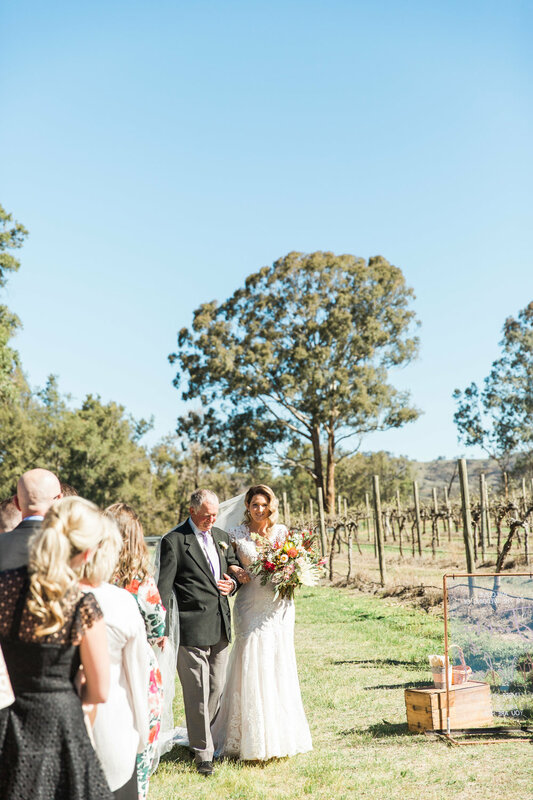 Friends and family from across the globe travelled to celebrate this beautiful day in the prestigious grounds of Goonoo Goonoo station. 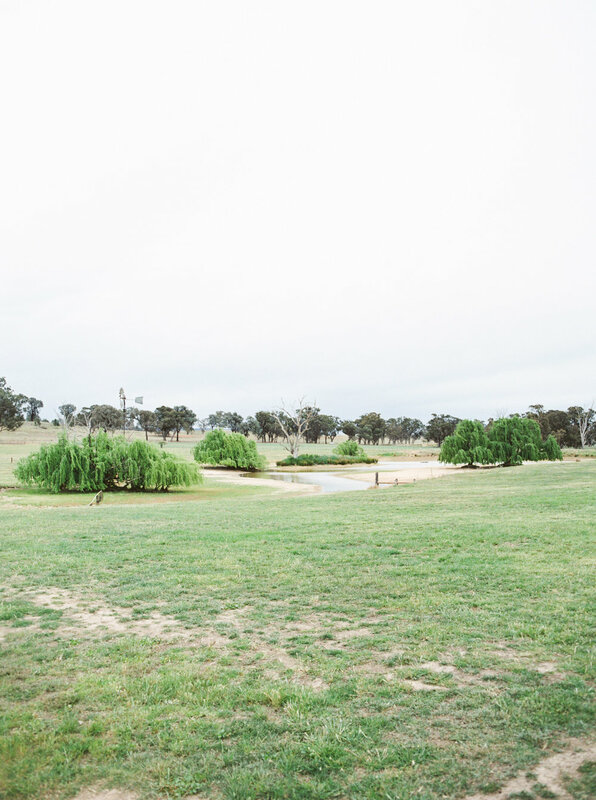 An oasis in the middle of the country. 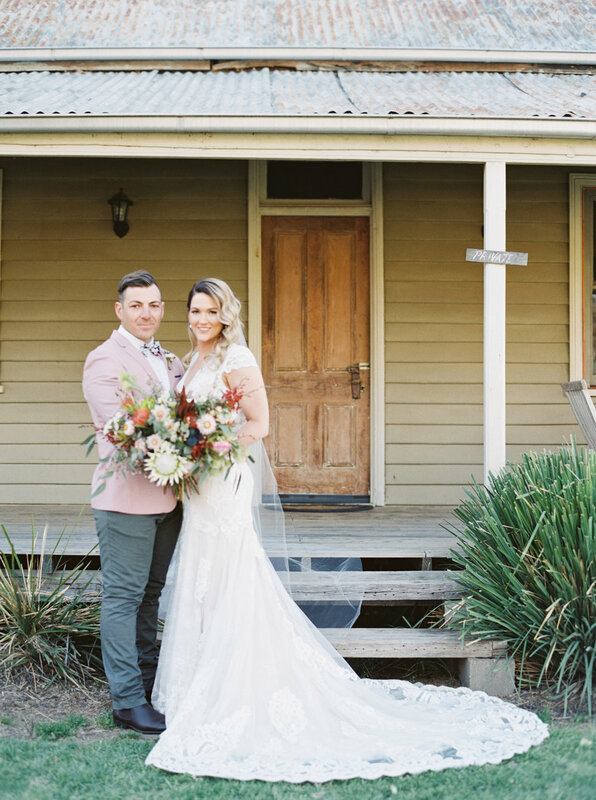 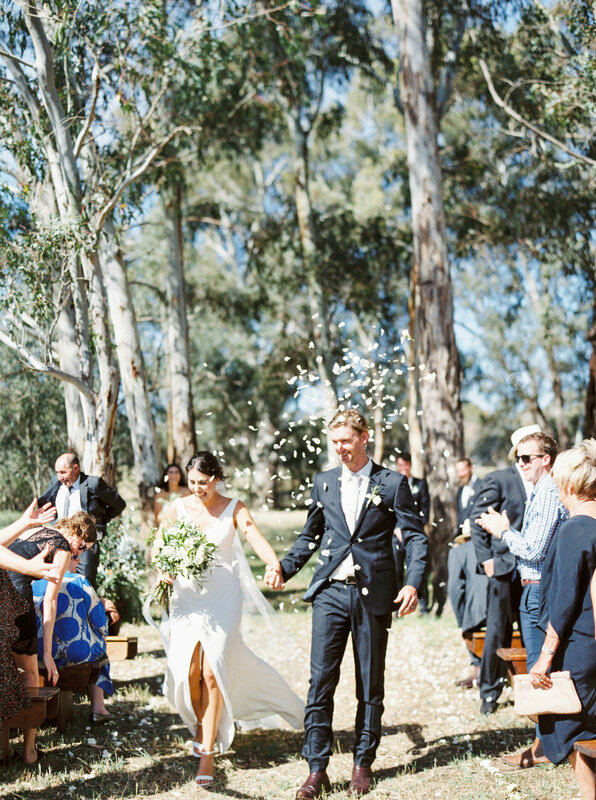 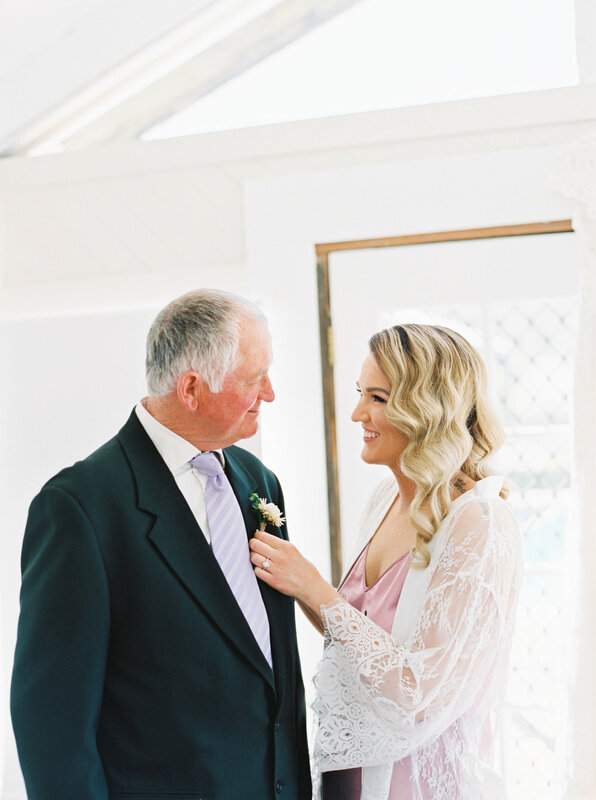 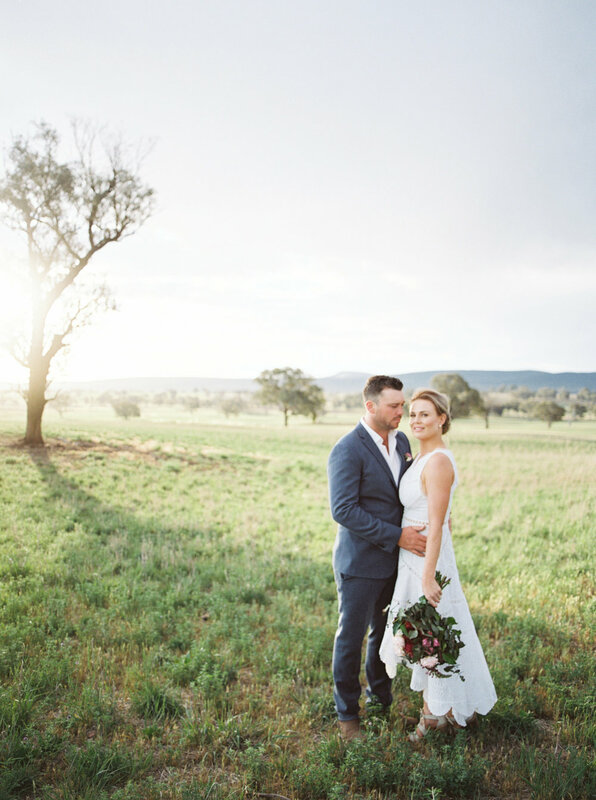 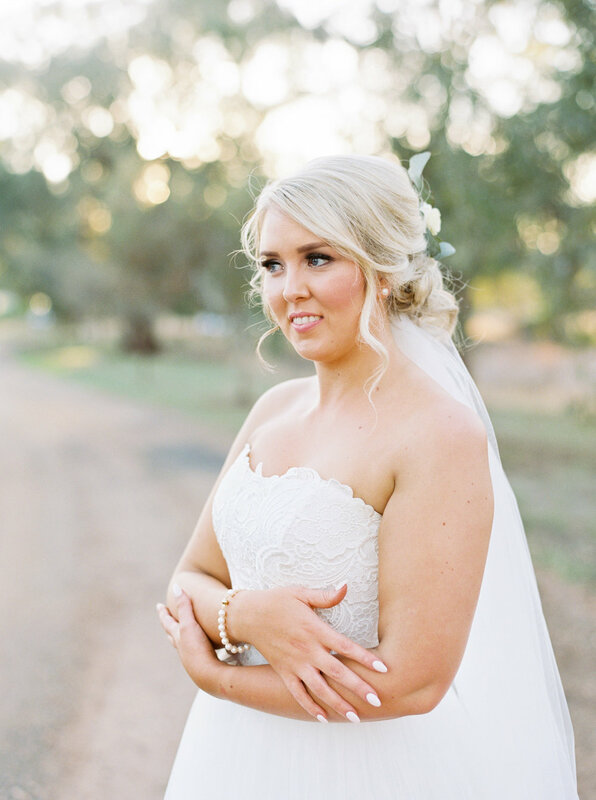 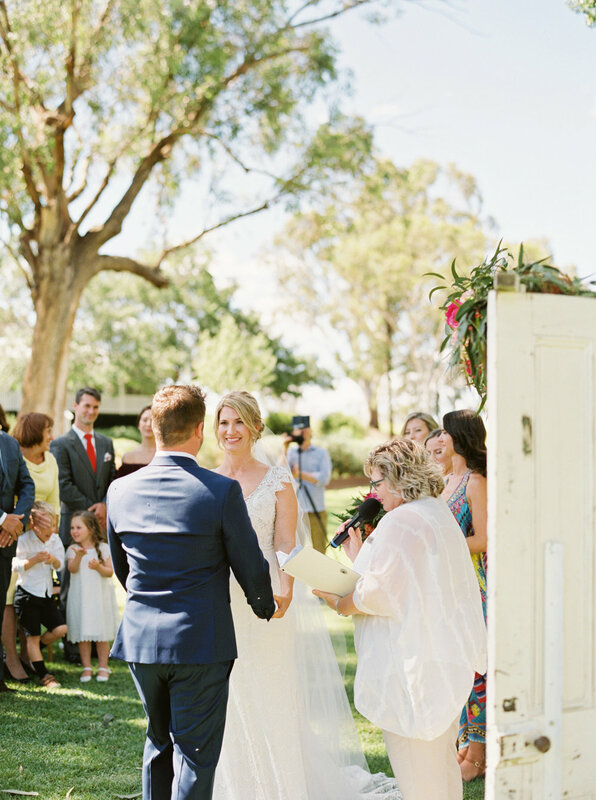 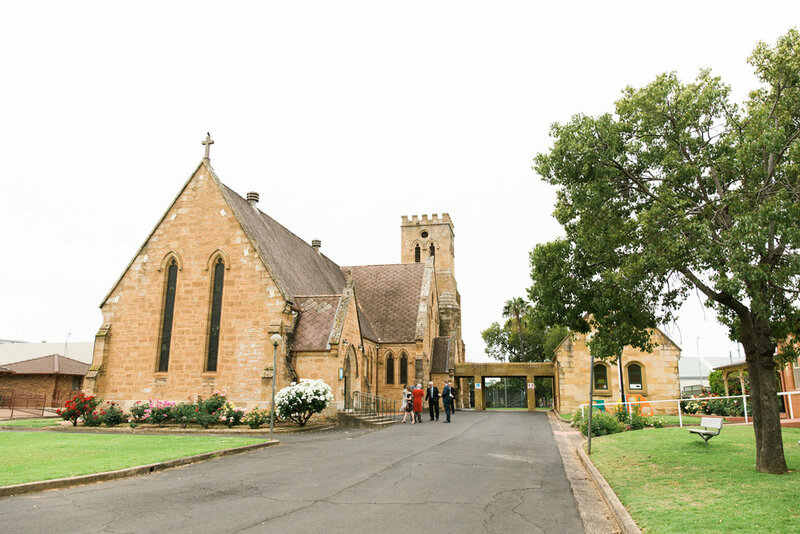 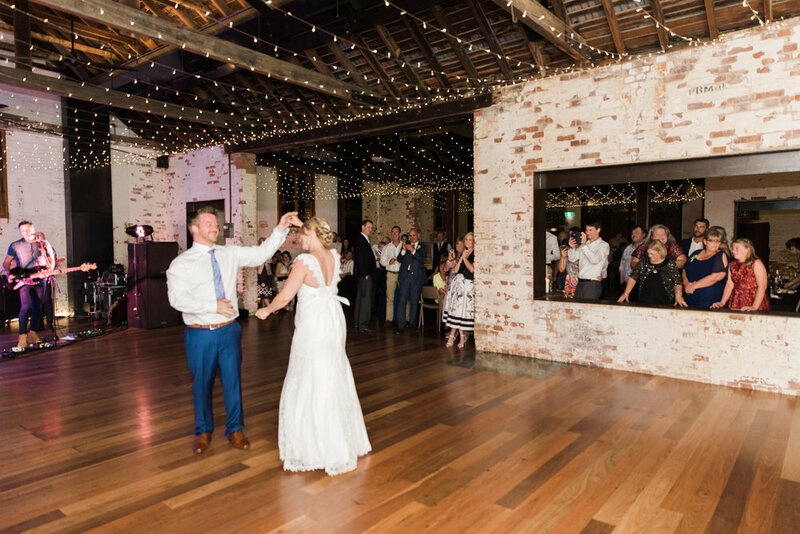 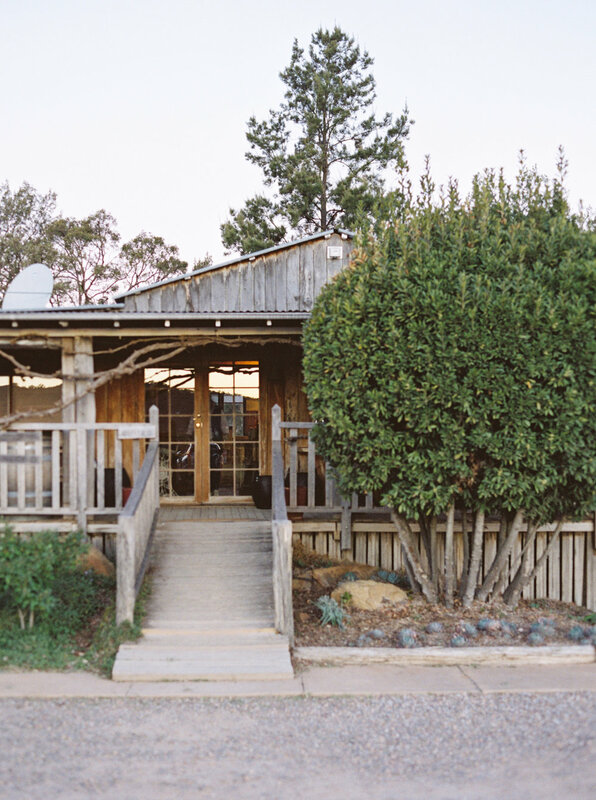 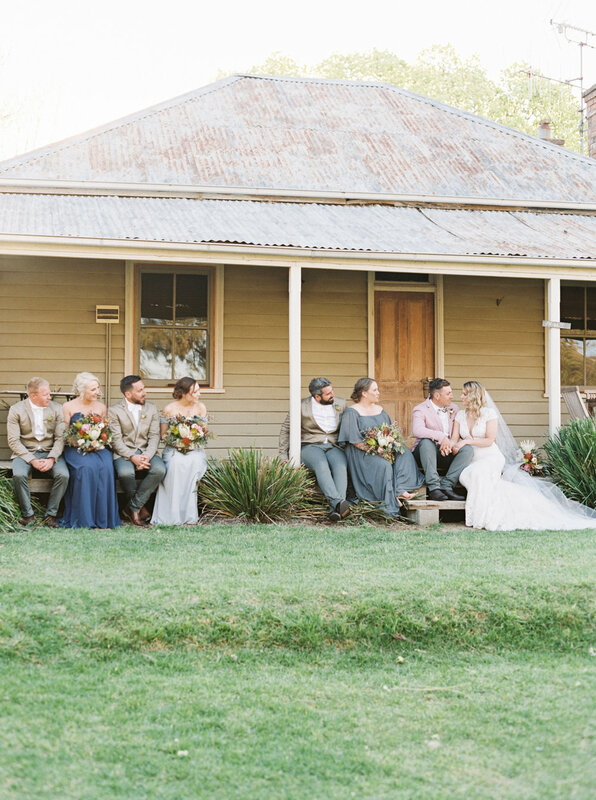 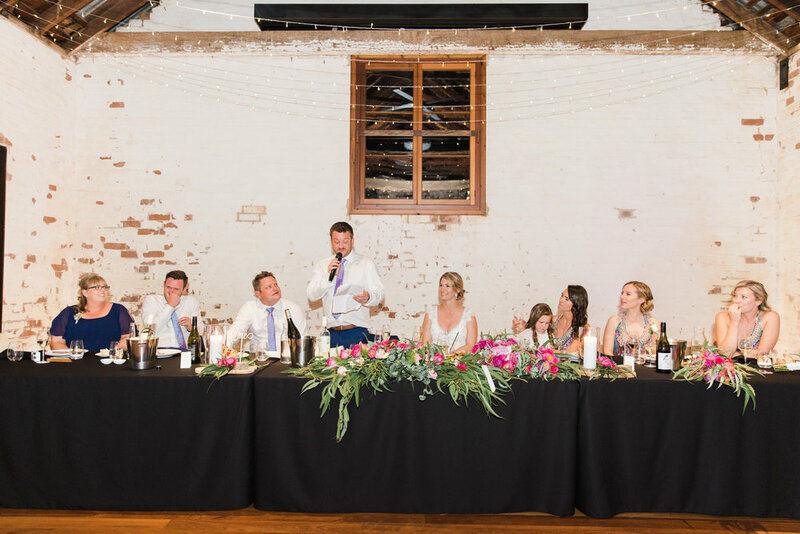 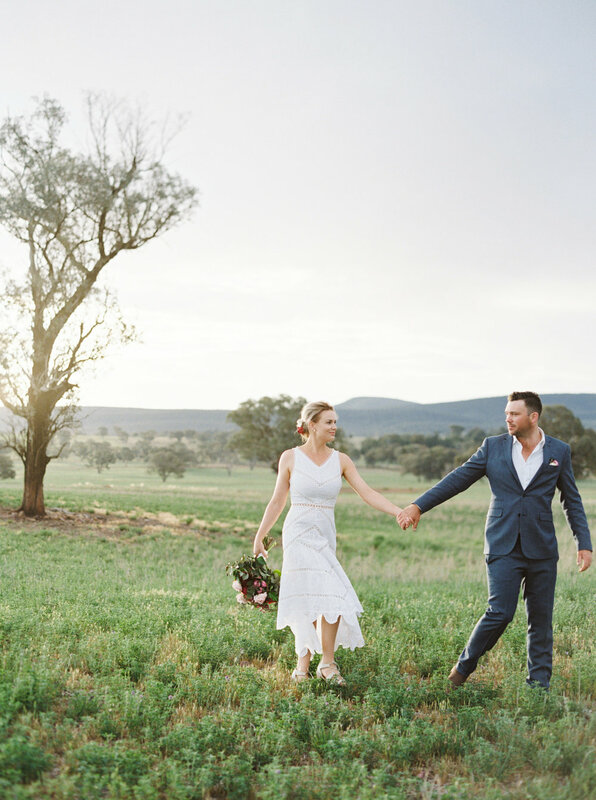 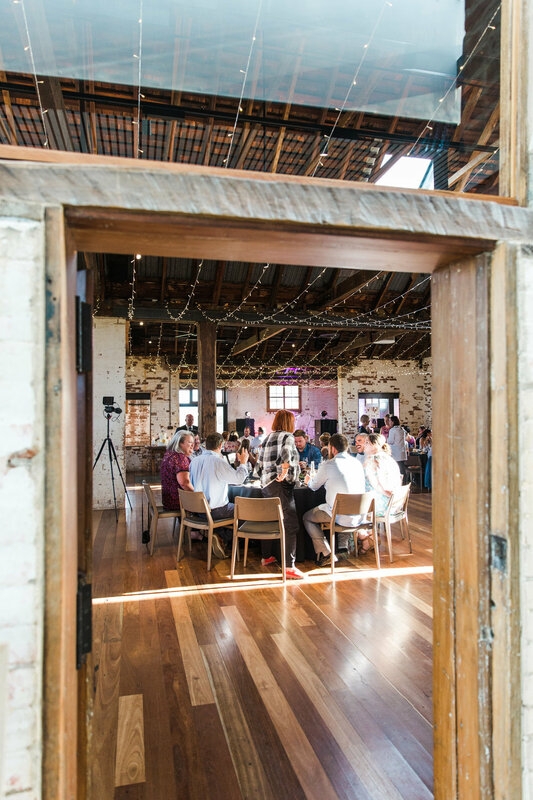 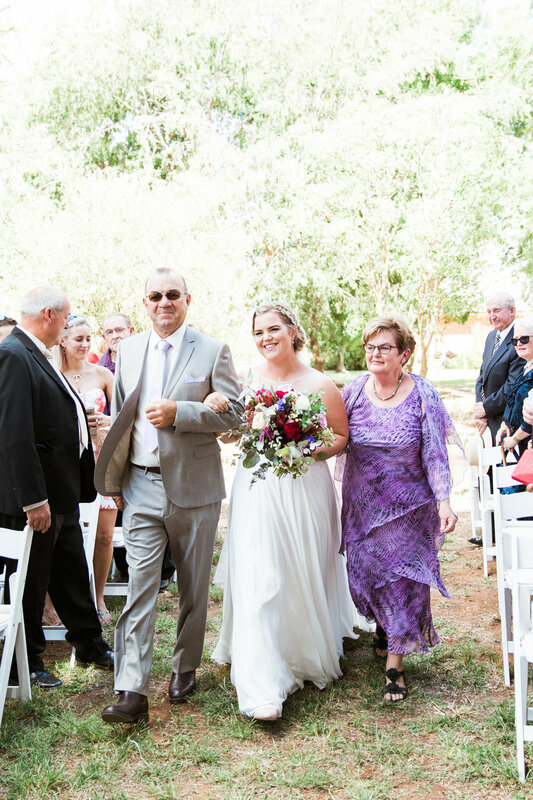 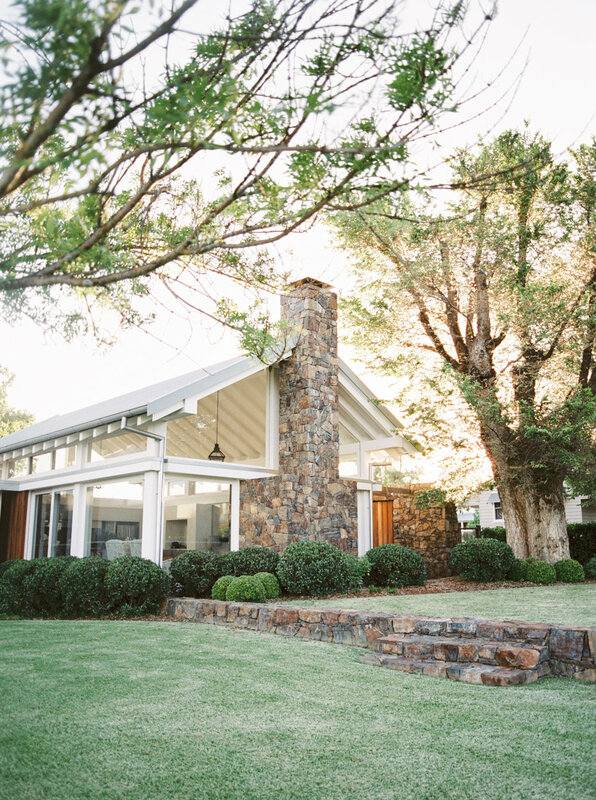 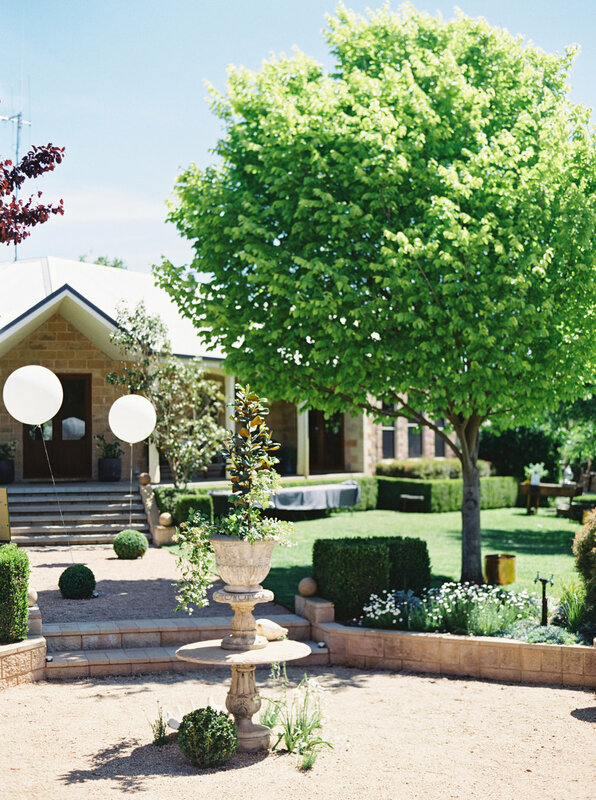 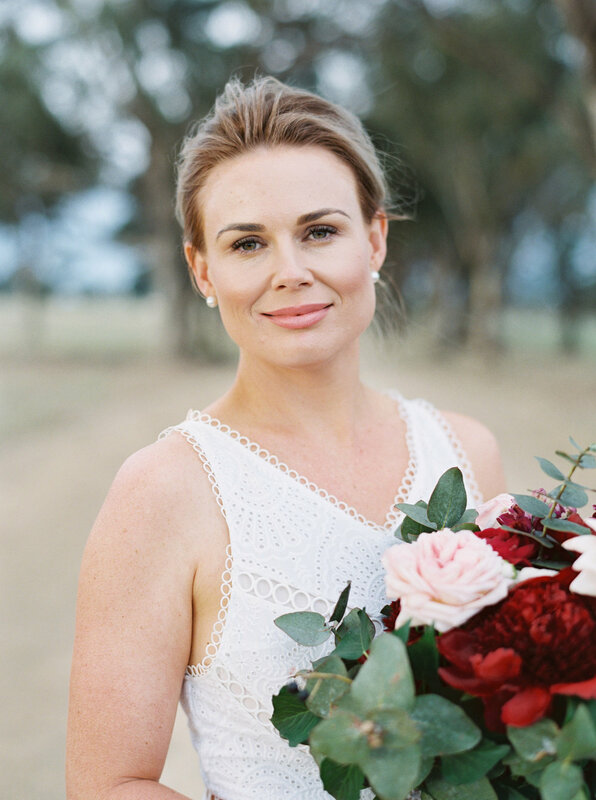 Kate and Andrew were married in the cutest little county chapel a few hours from Mudgee NSW Australia. 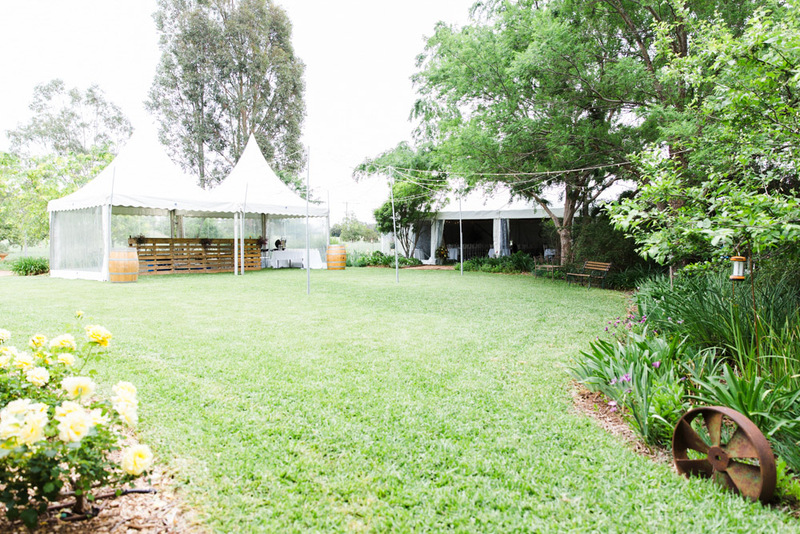 With a luxurious cocktail reception on Andrews family farm "Gullendah". 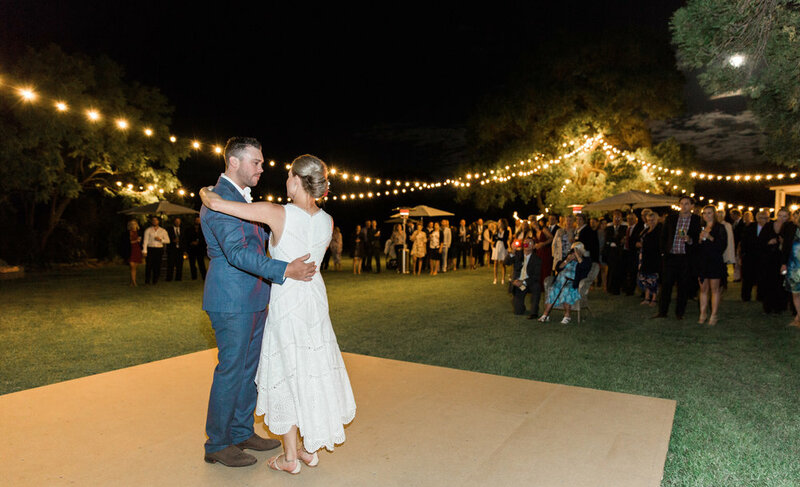 Kate wore a simple sundress with lace trim detail throughout by Zimmerman while Andrew was looking very stylish in his MJ Bale suite. 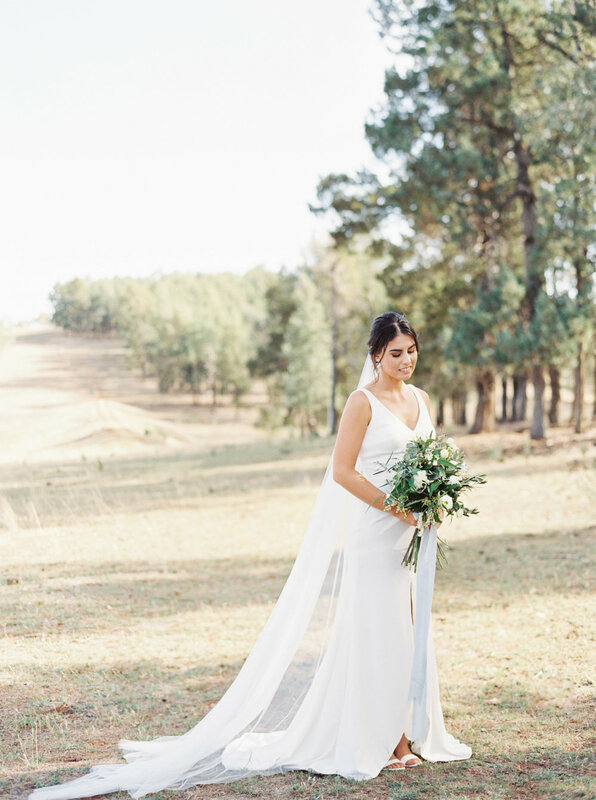 It was not your typical November weather this year. 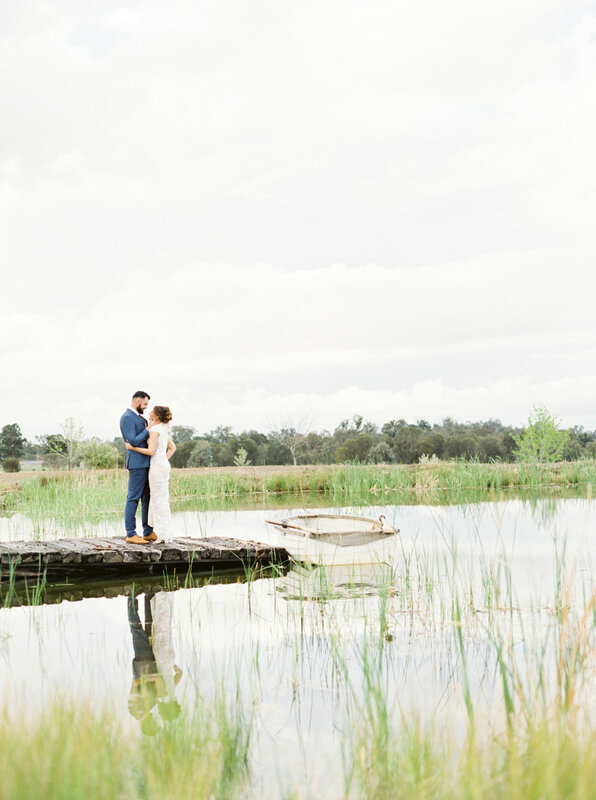 The family farm had a lot of rain before their wedding day, which made for picture square lush green gardens. 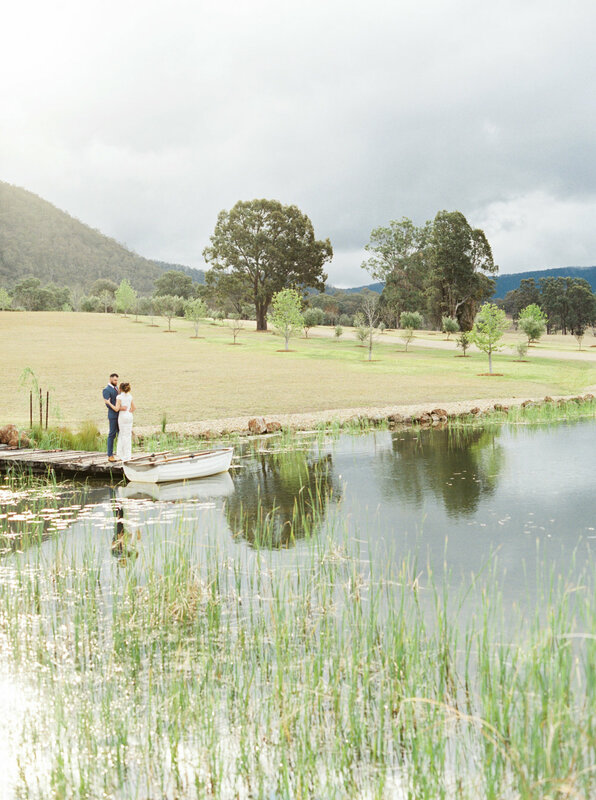 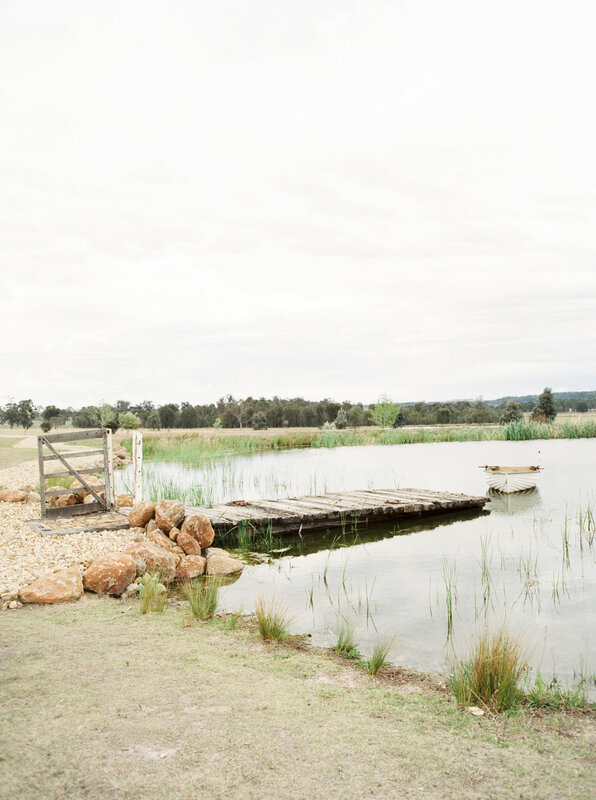 The farm also backed onto a national park with stunning mountain views, this landscape made for amazing wedding photos. 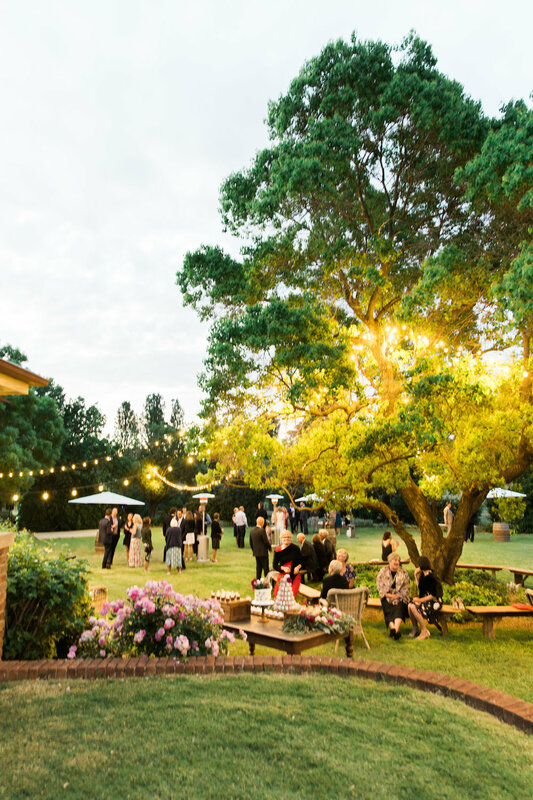 Not to mention the beautifully presented and delicious canapés and dessert table by Mudgee Made Catering for guests to enjoy during the twilight cocktail hour under fairy lights. 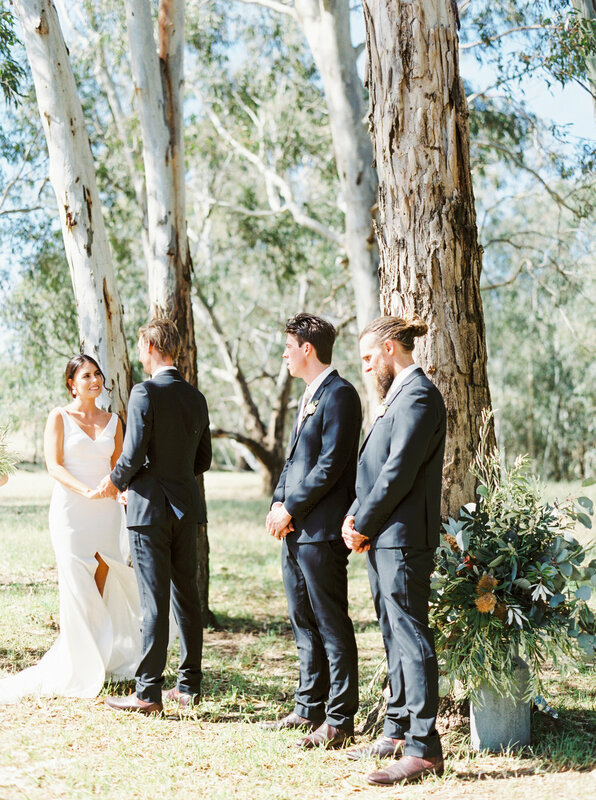 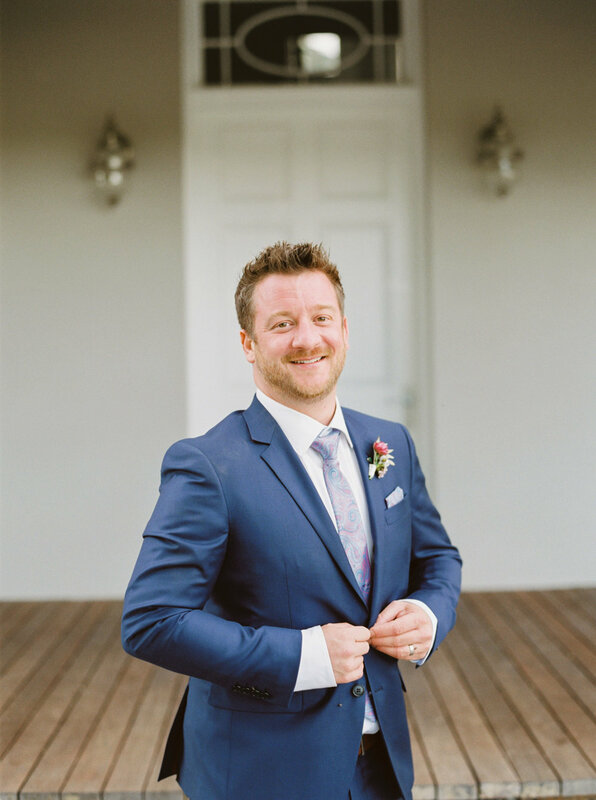 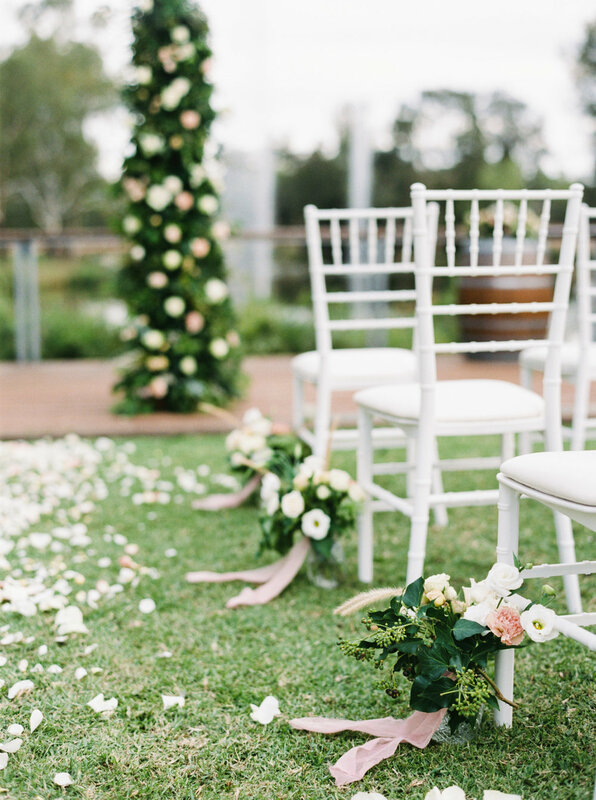 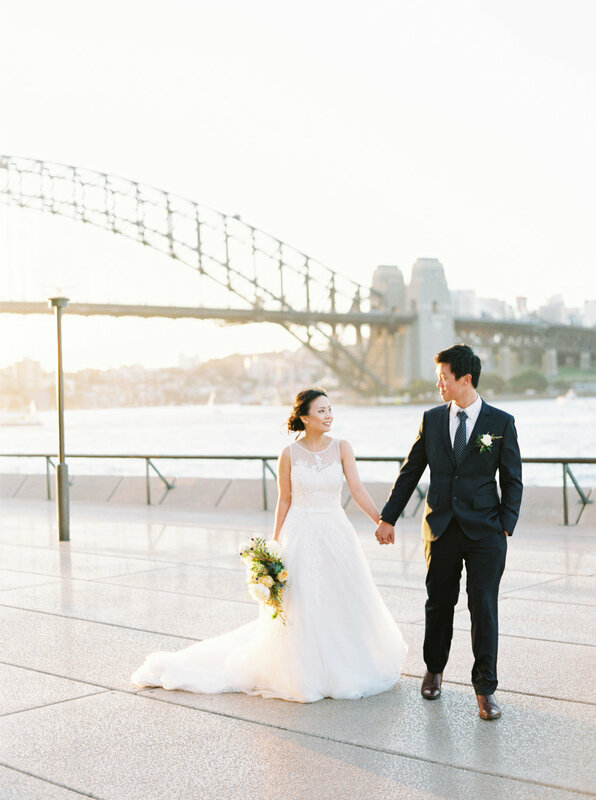 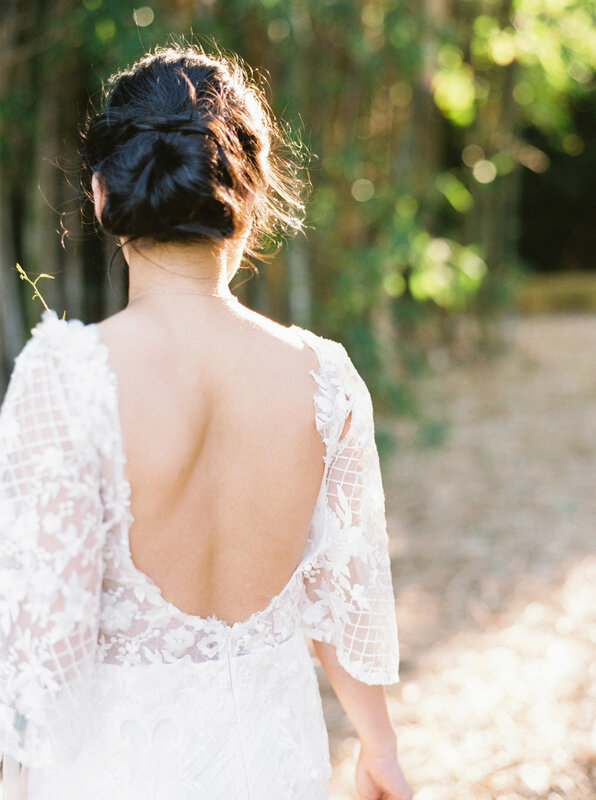 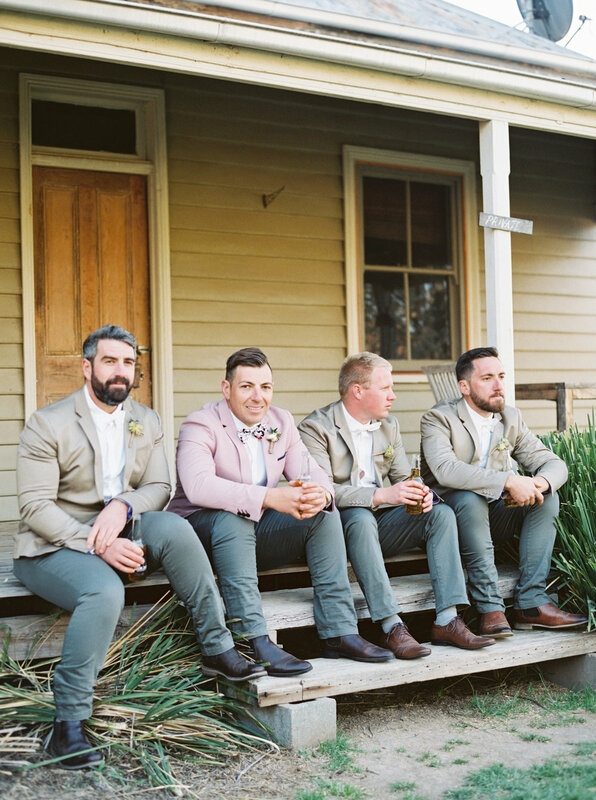 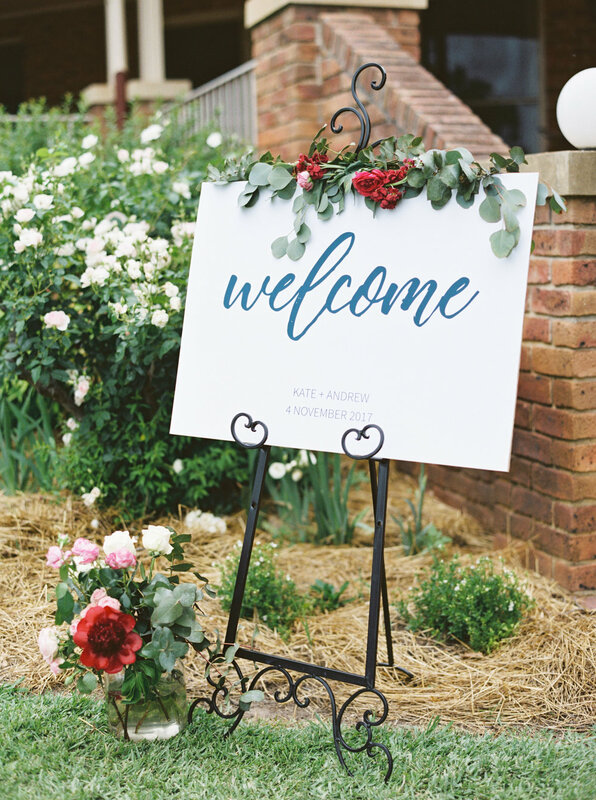 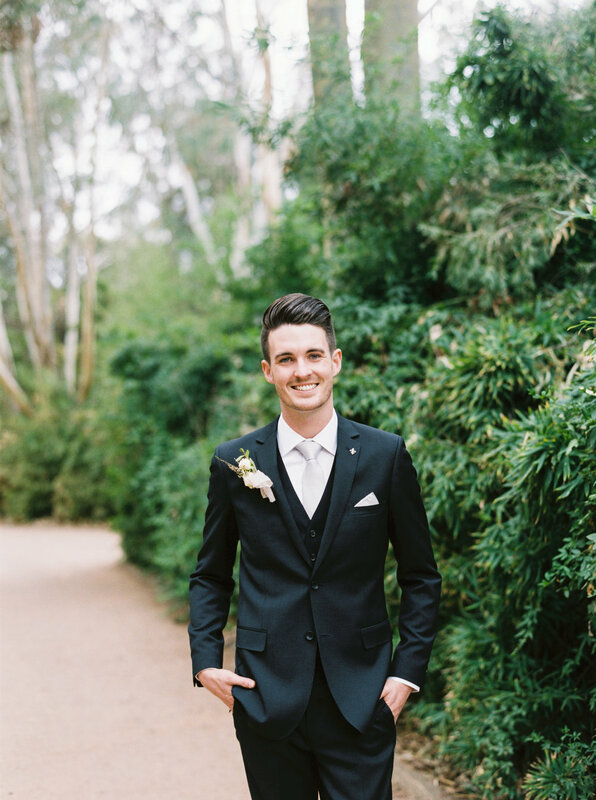 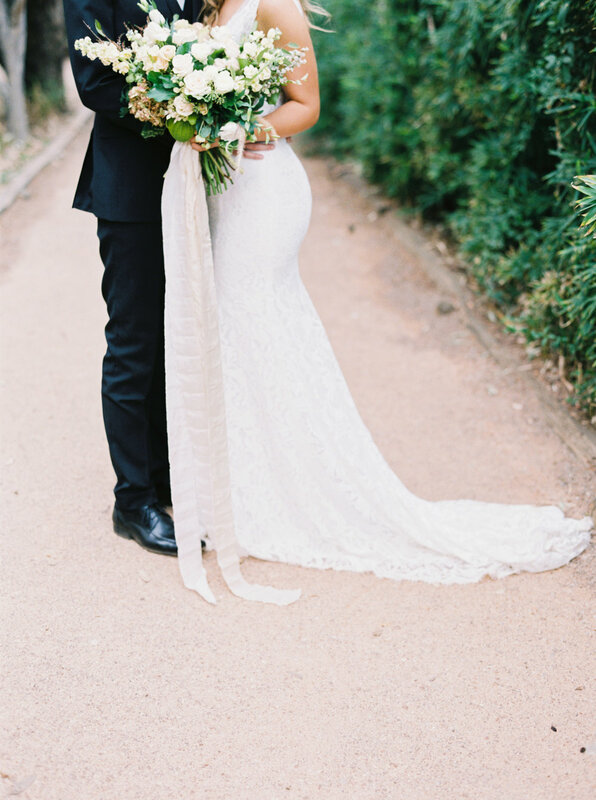 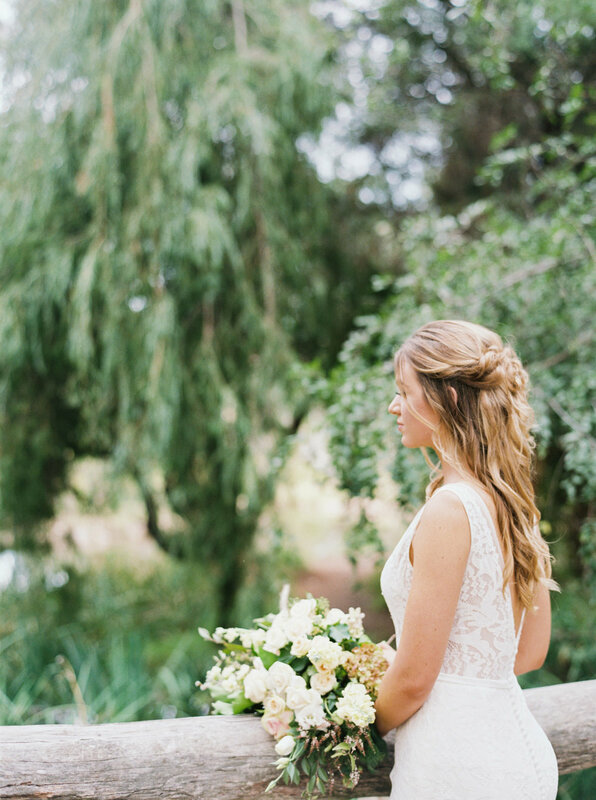 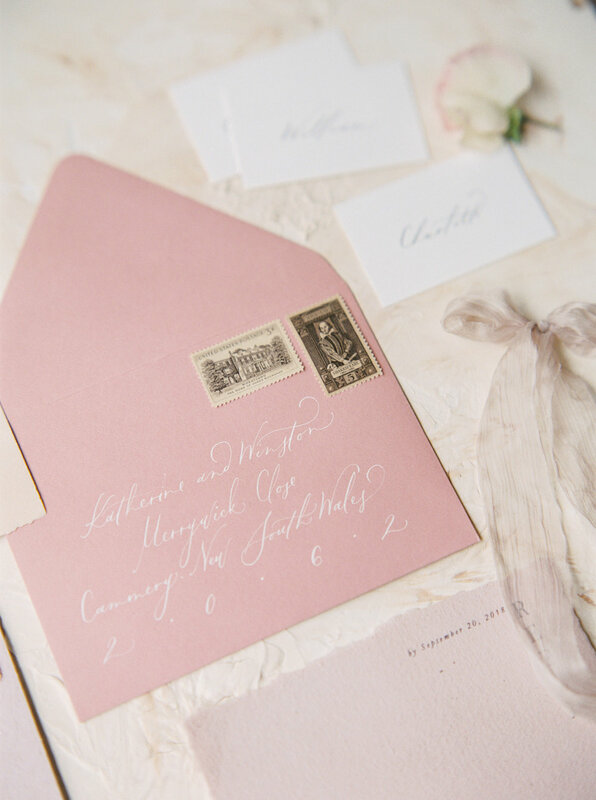 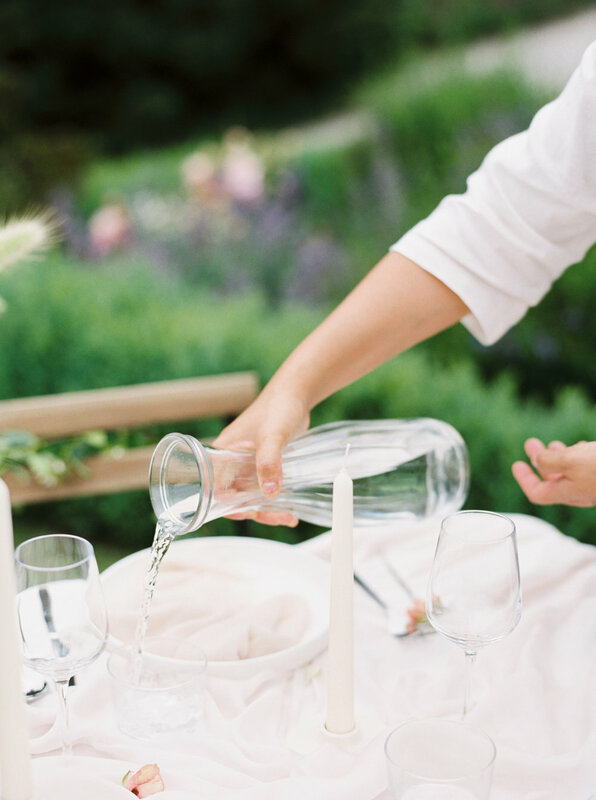 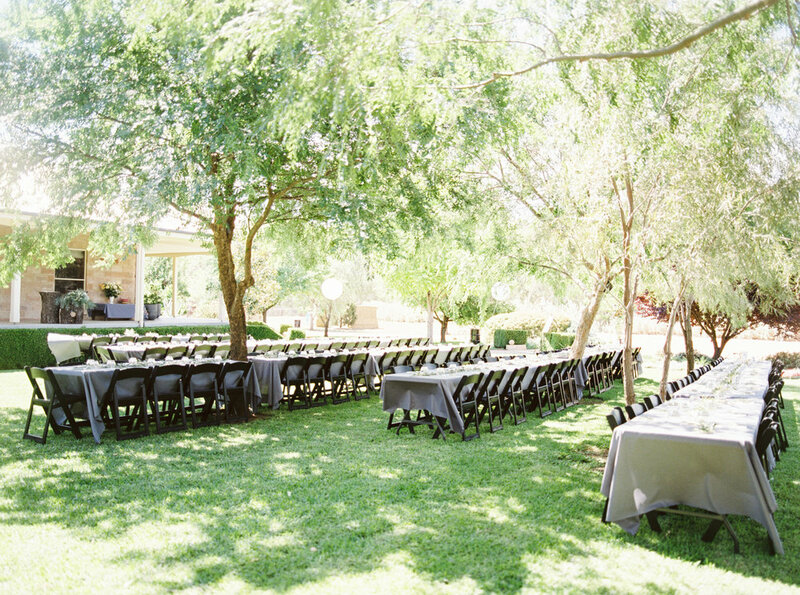 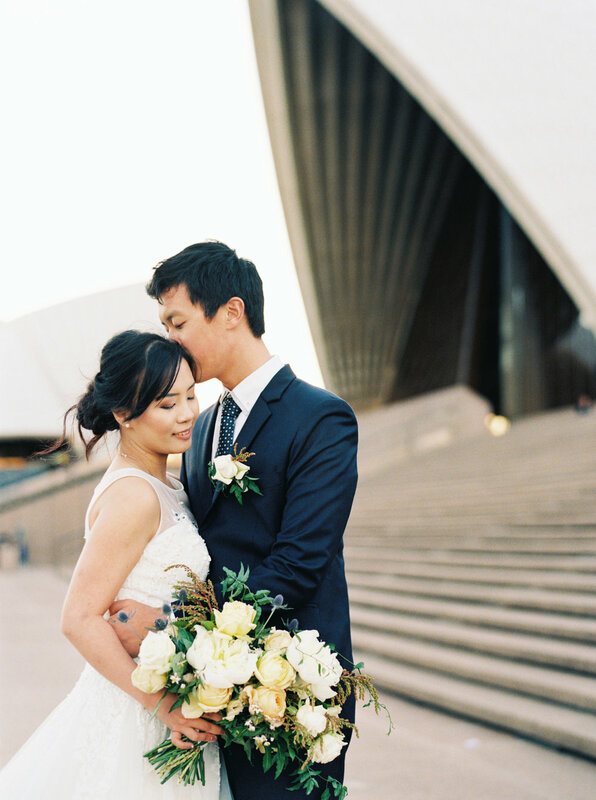 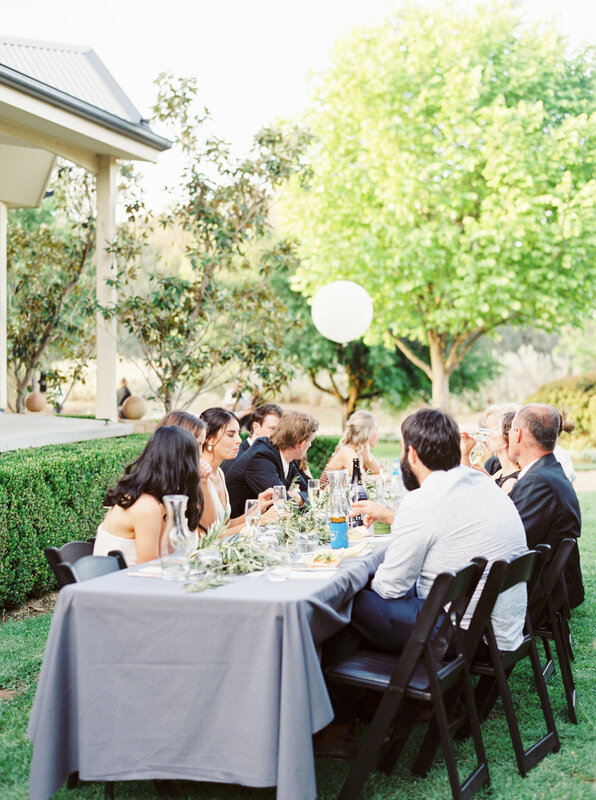 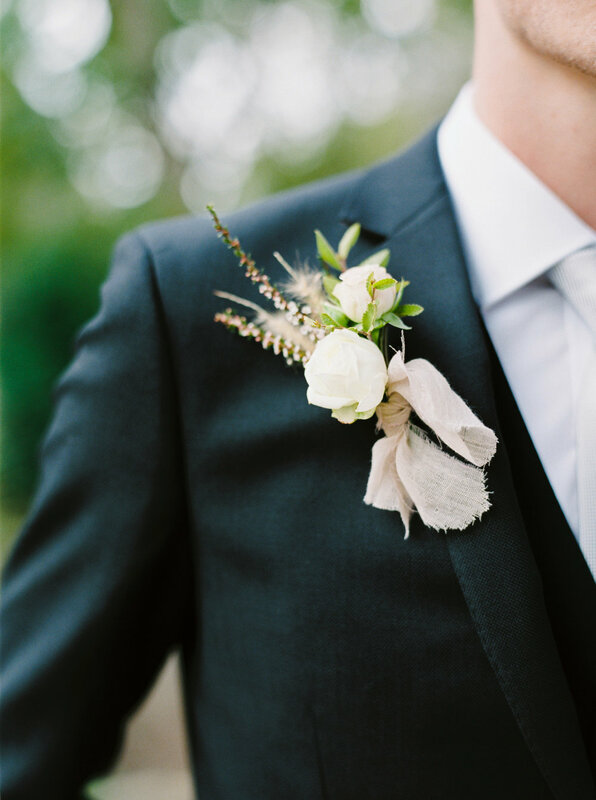 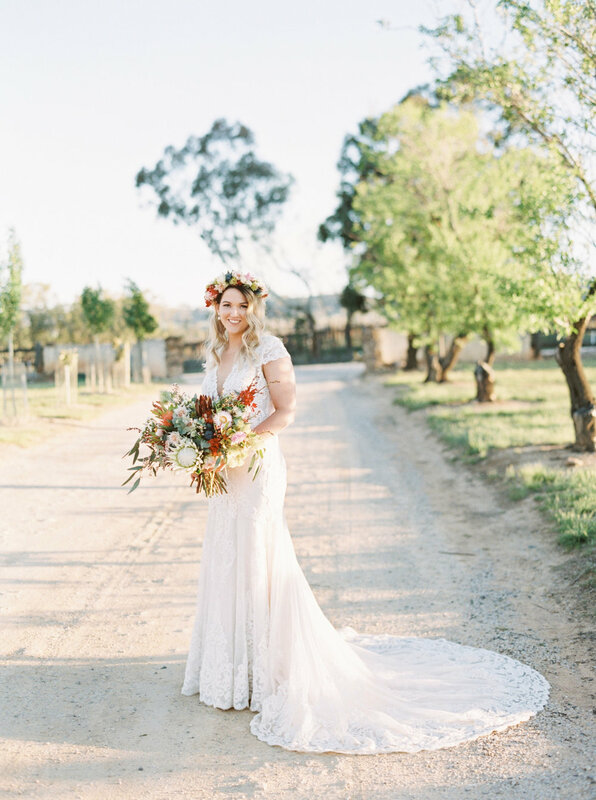 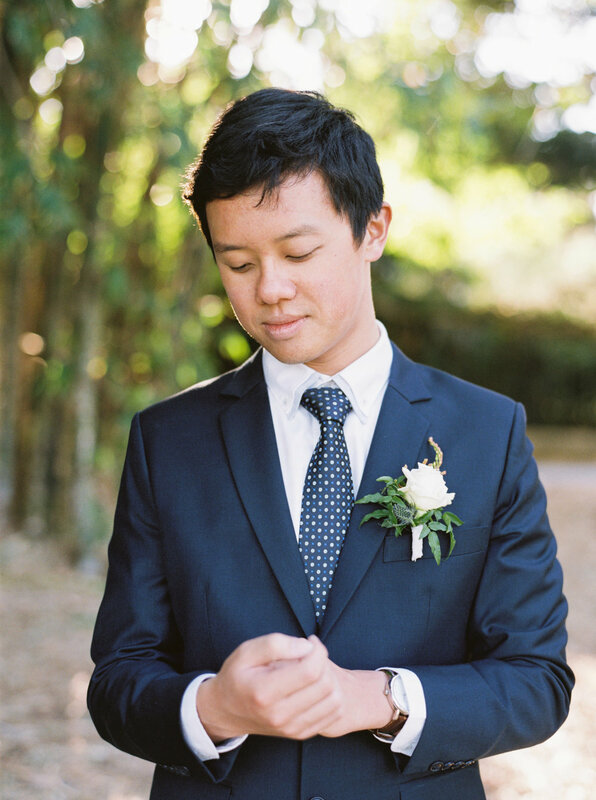 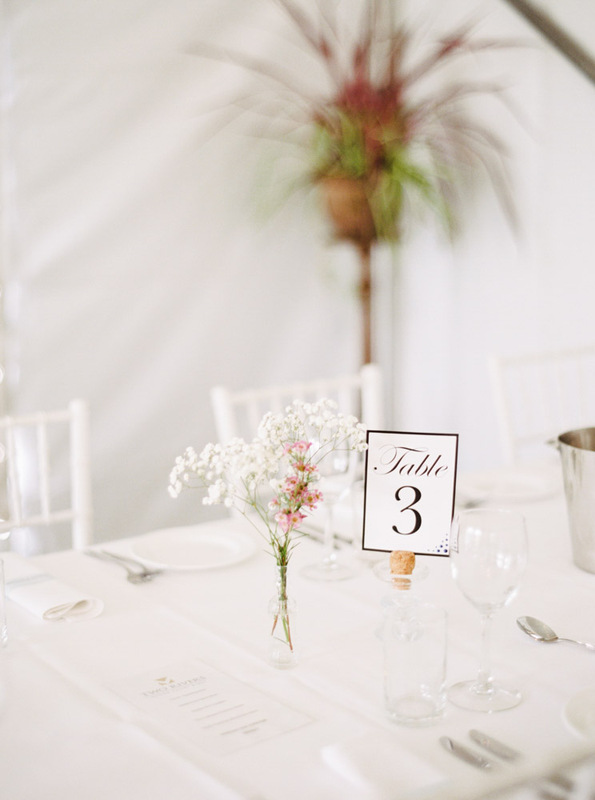 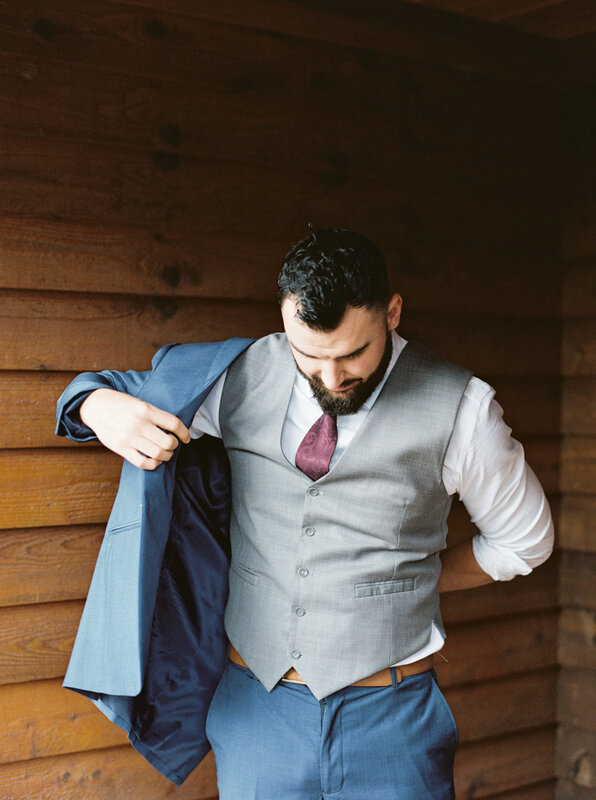 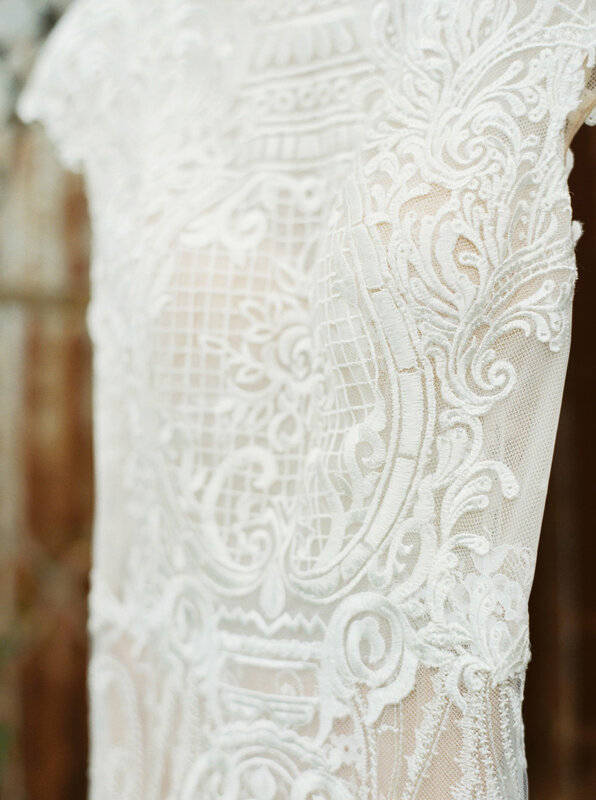 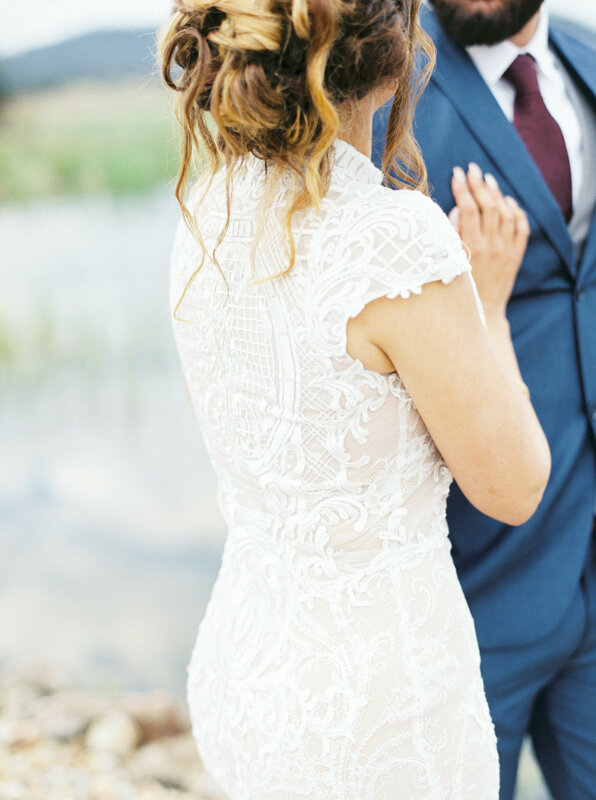 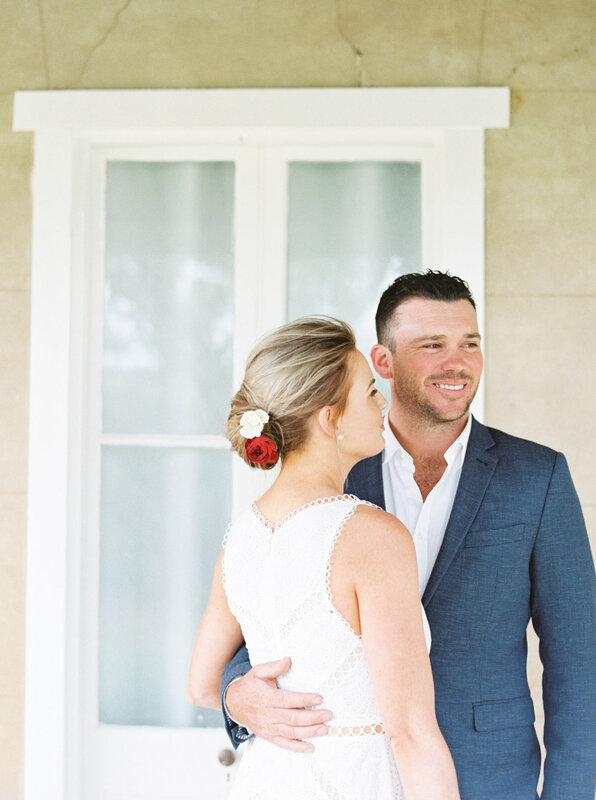 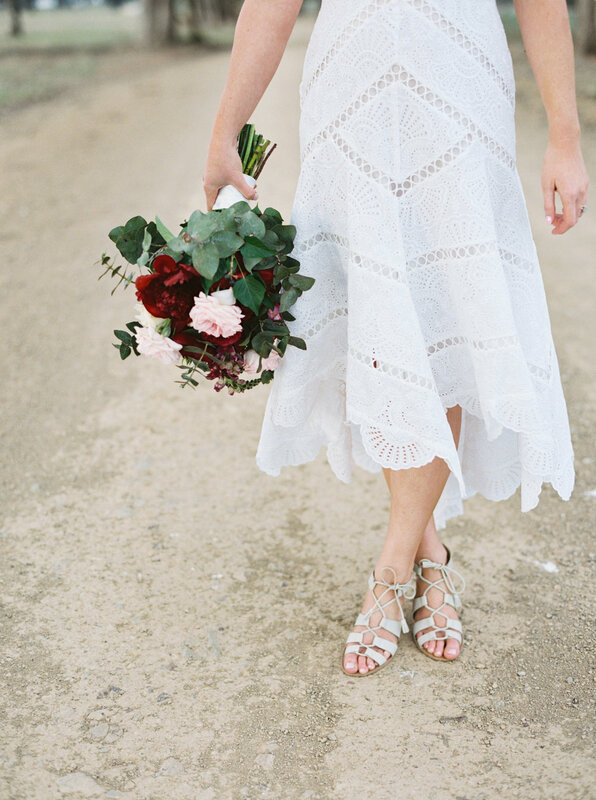 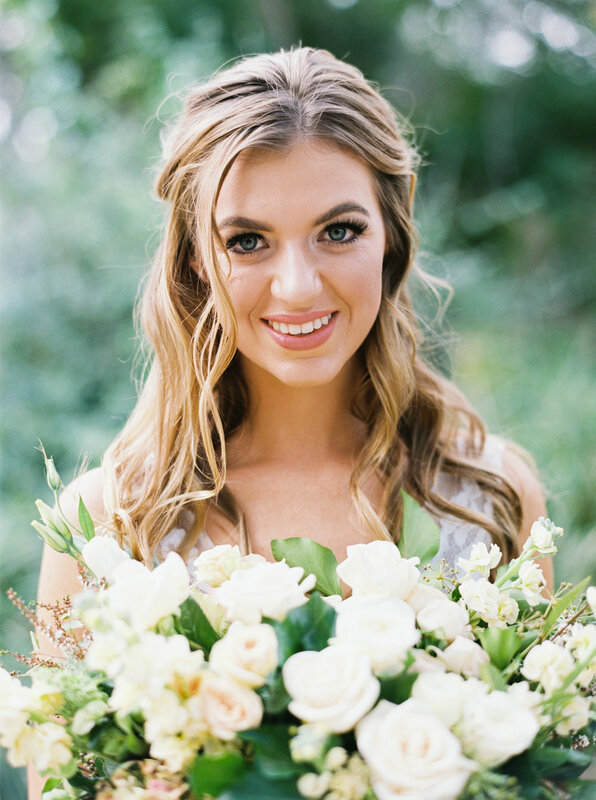 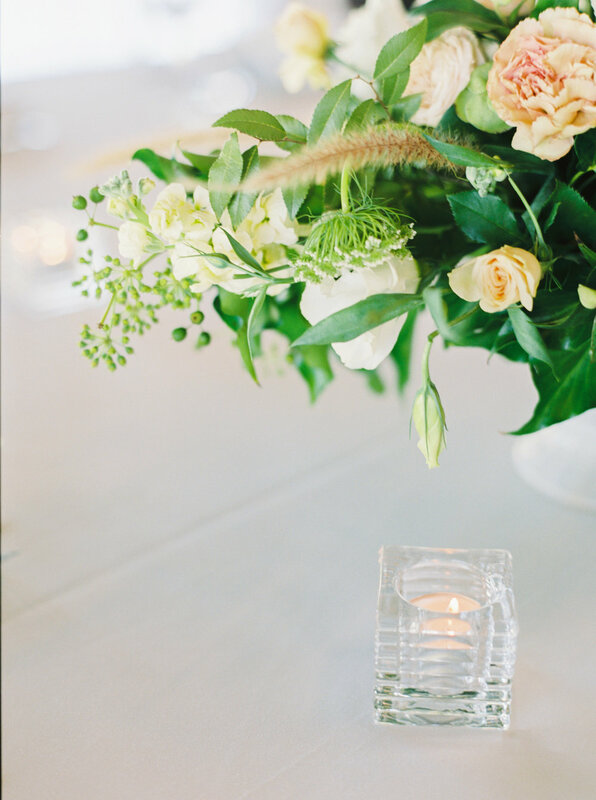 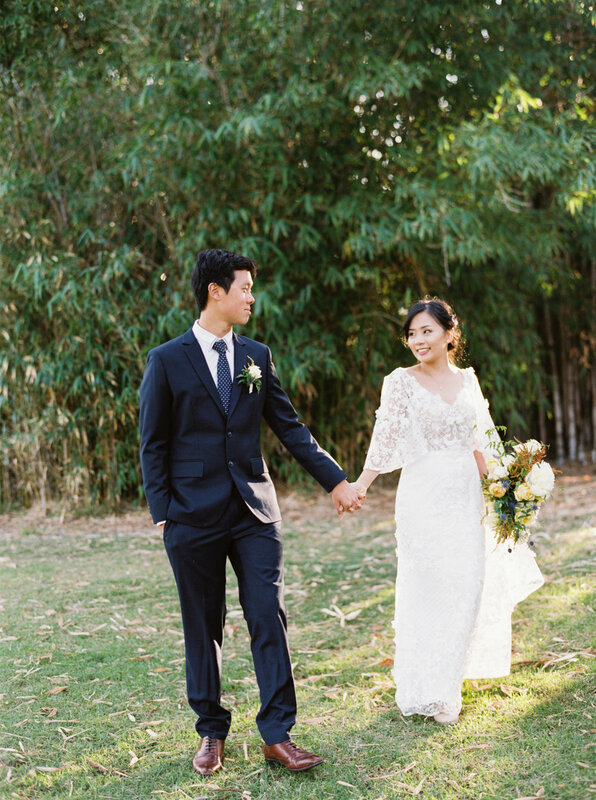 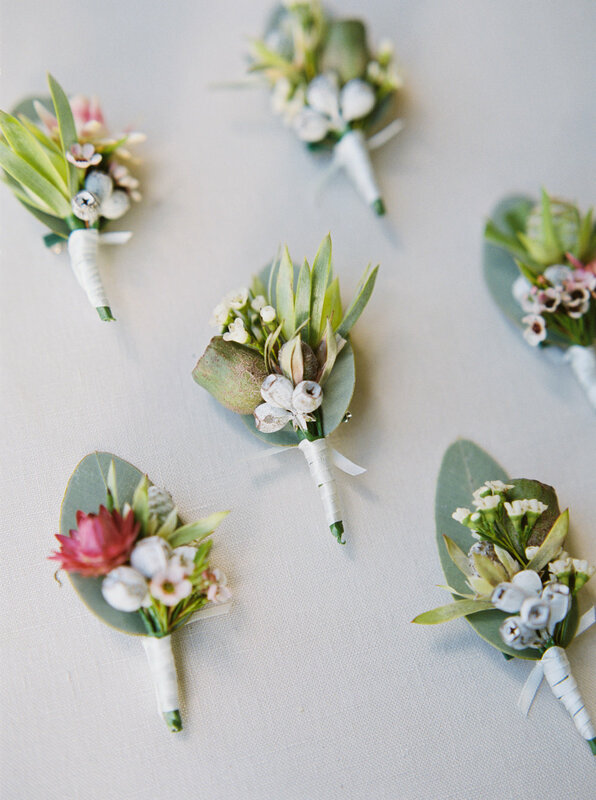 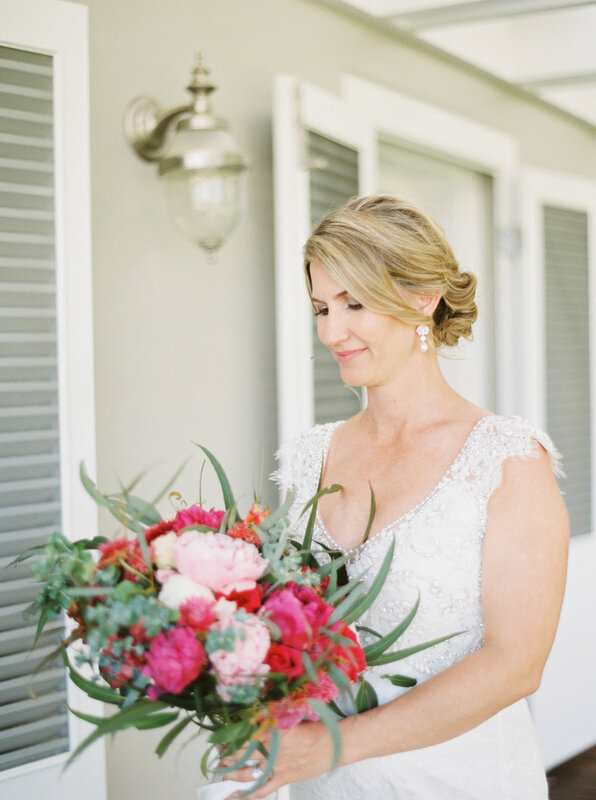 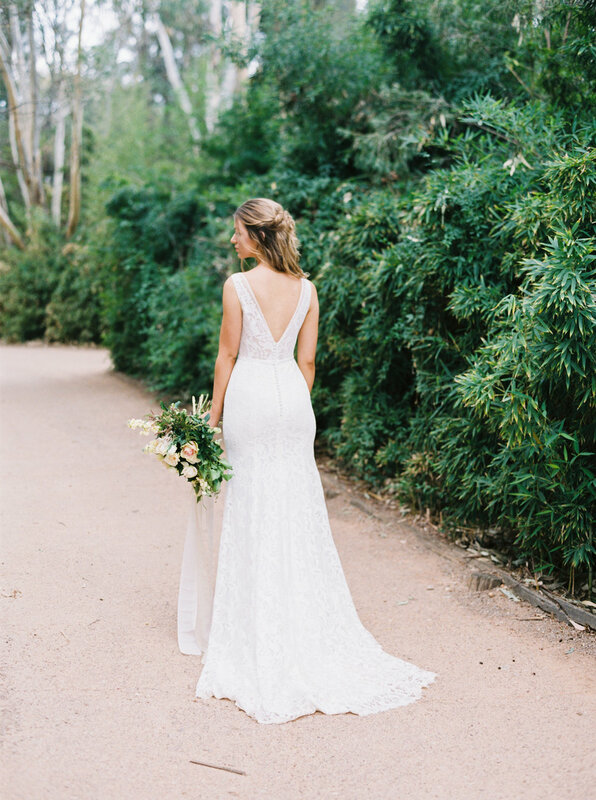 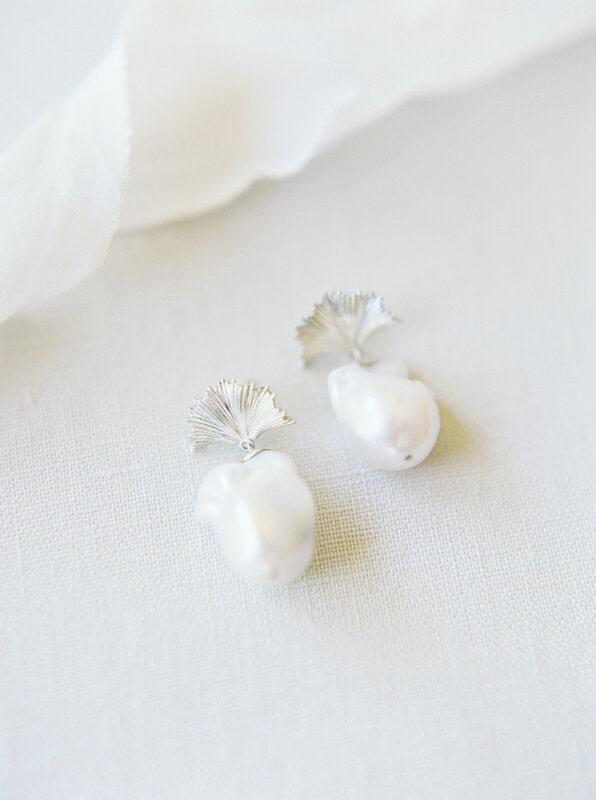 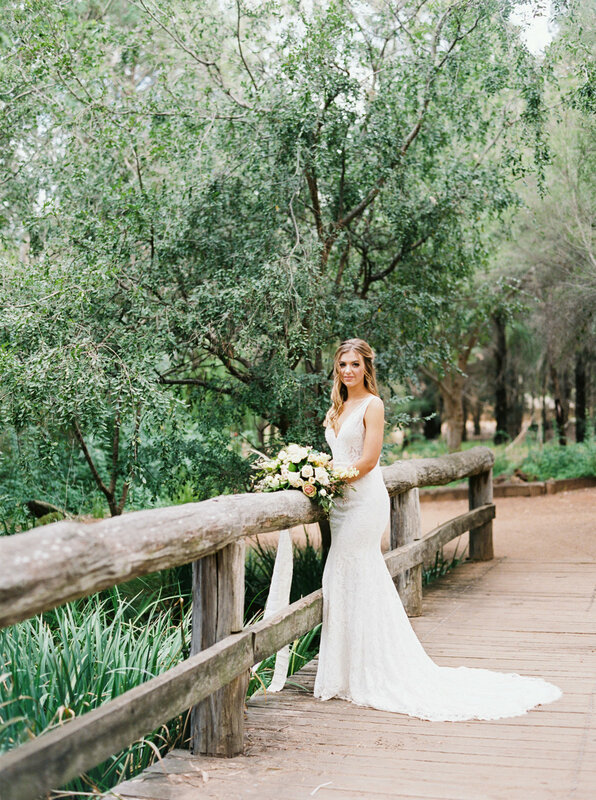 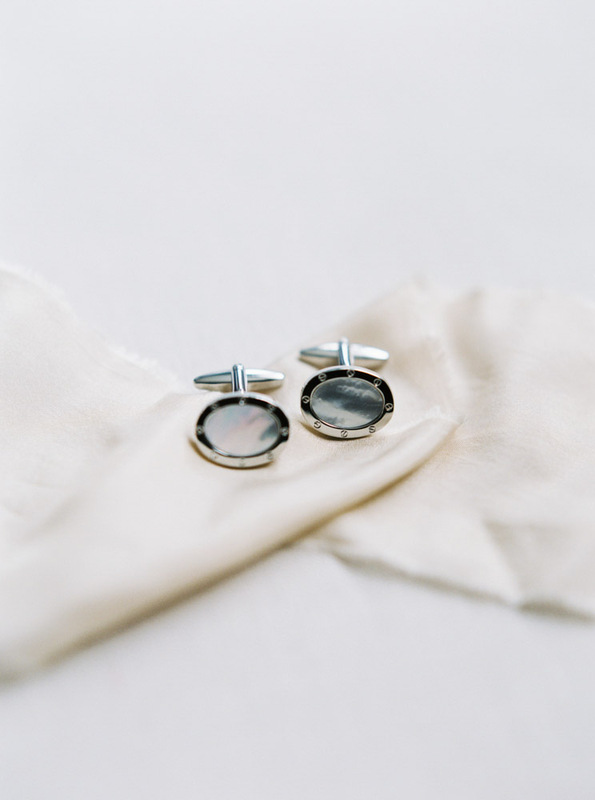 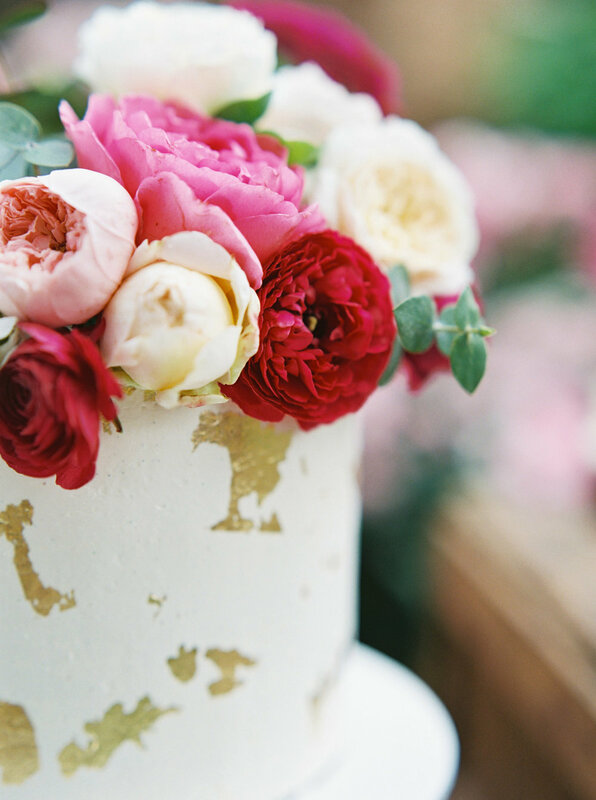 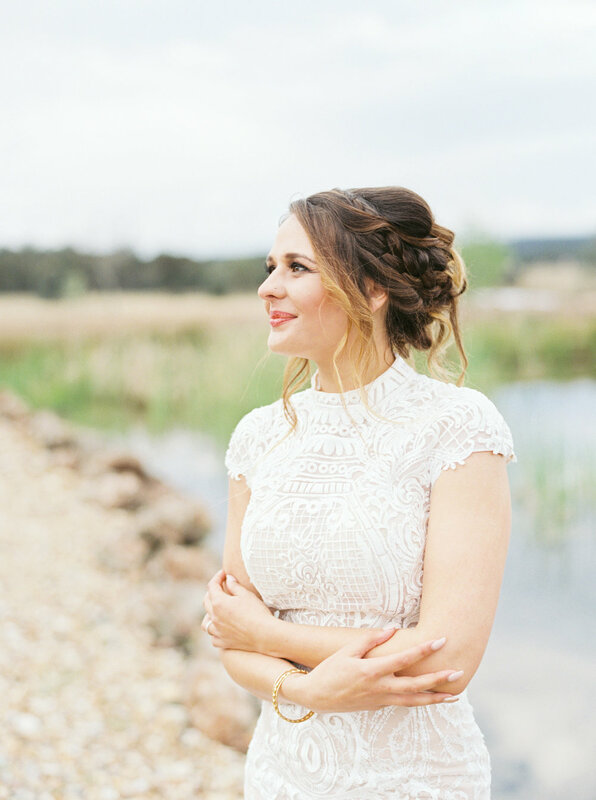 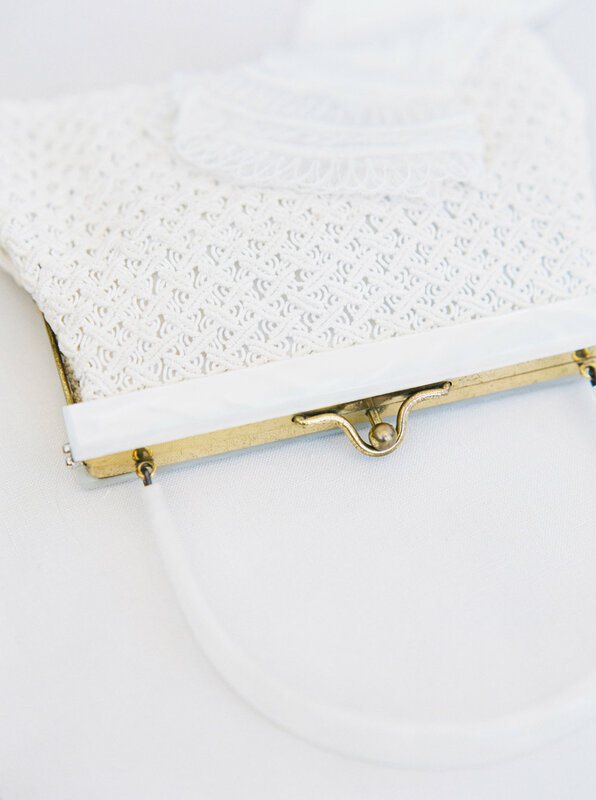 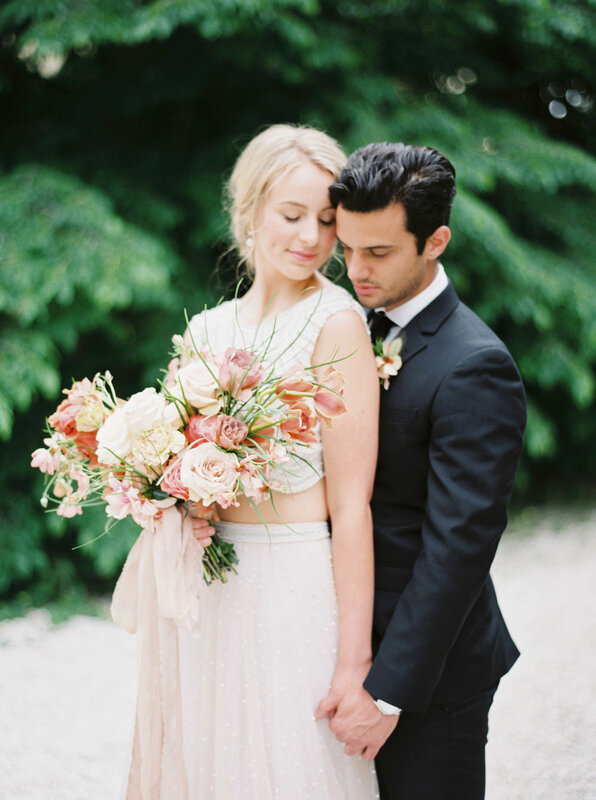 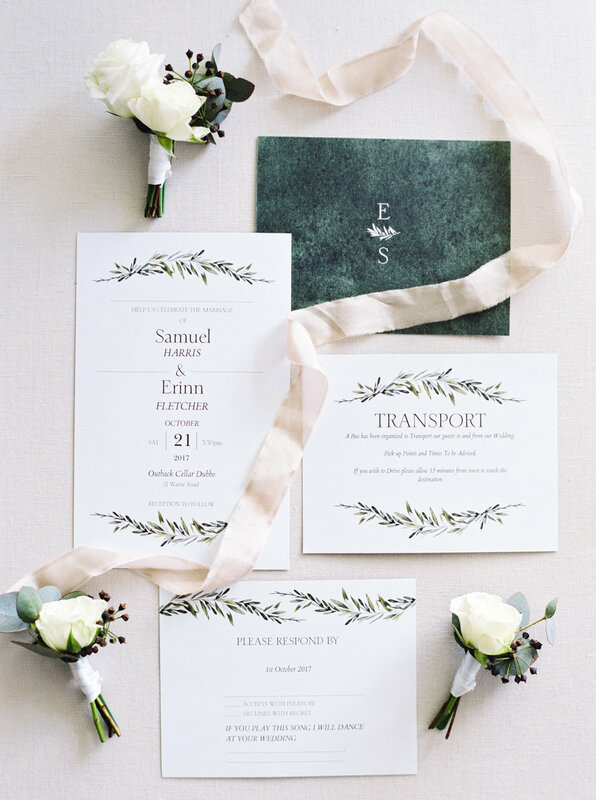 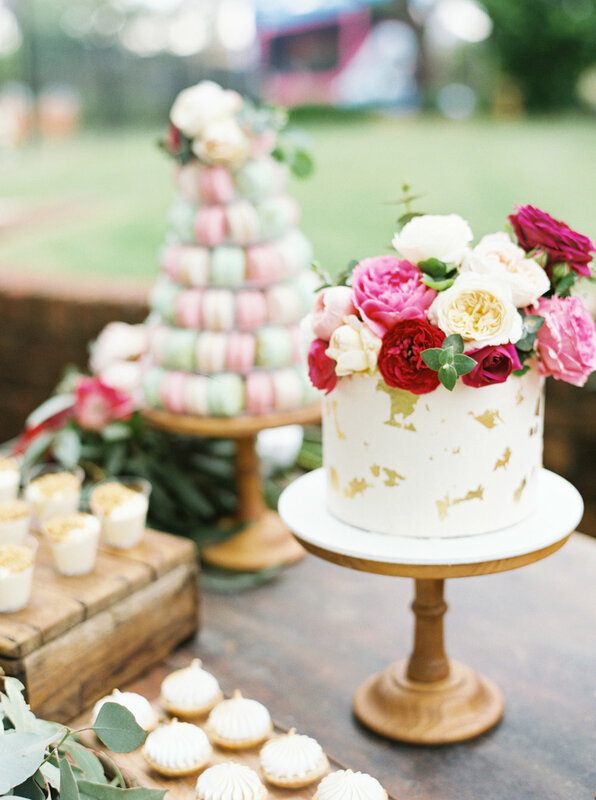 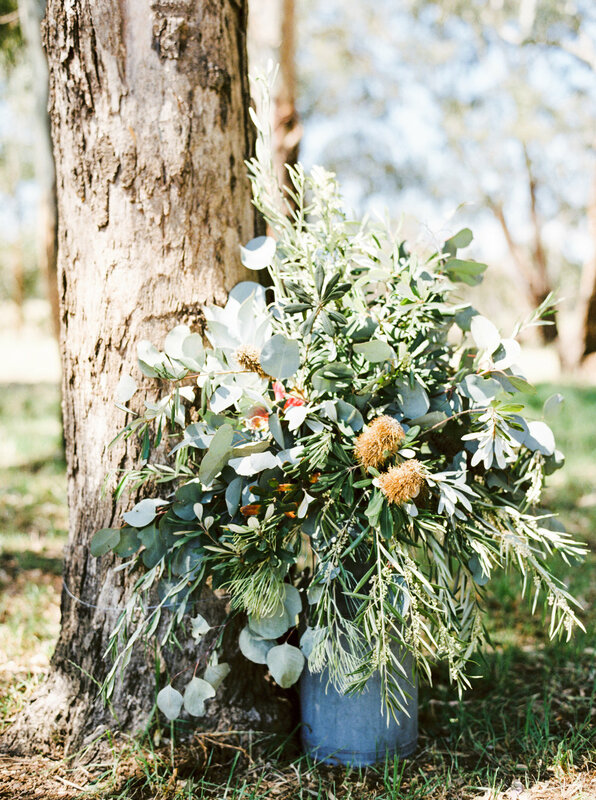 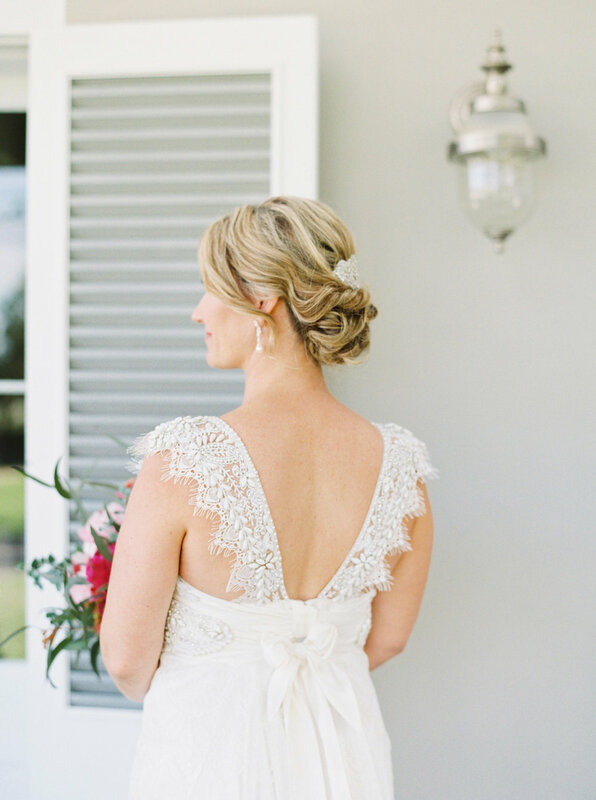 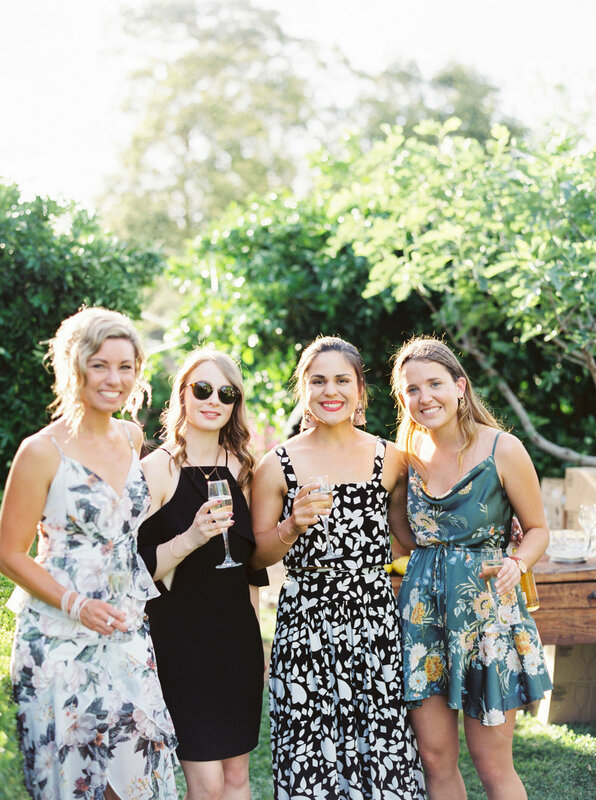 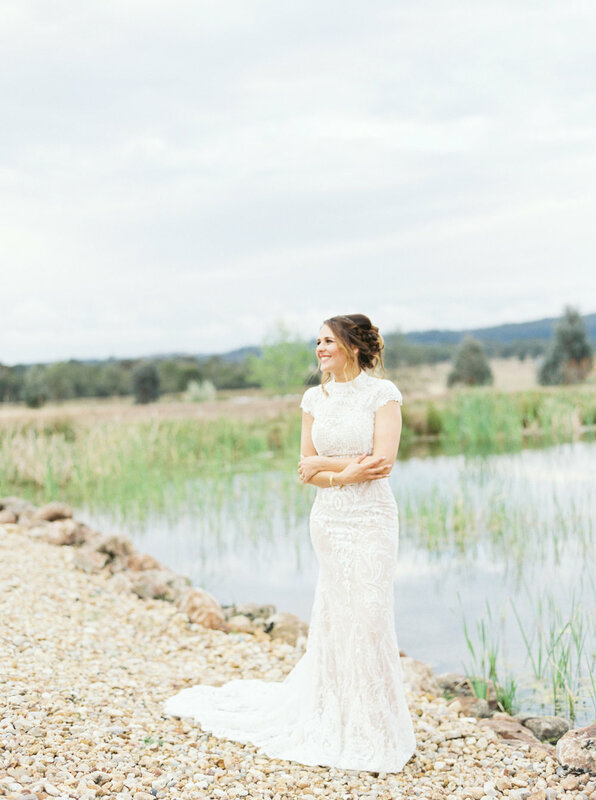 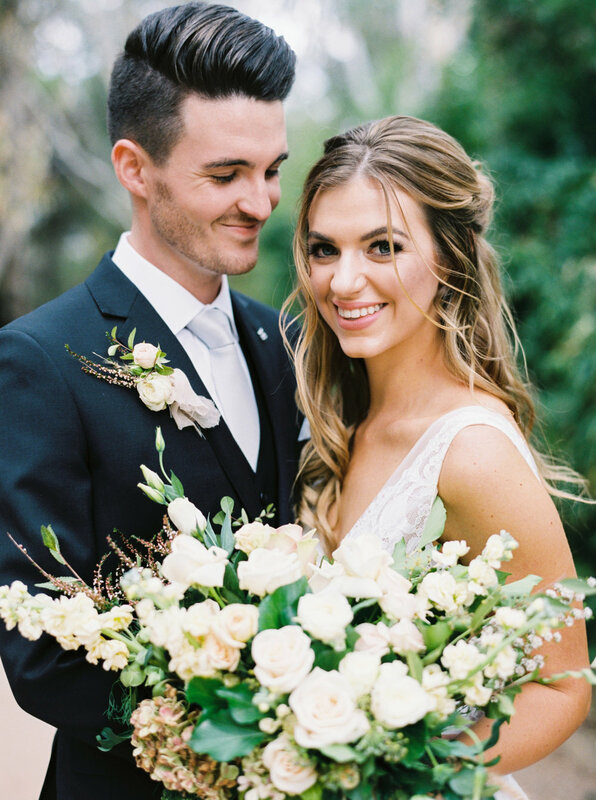 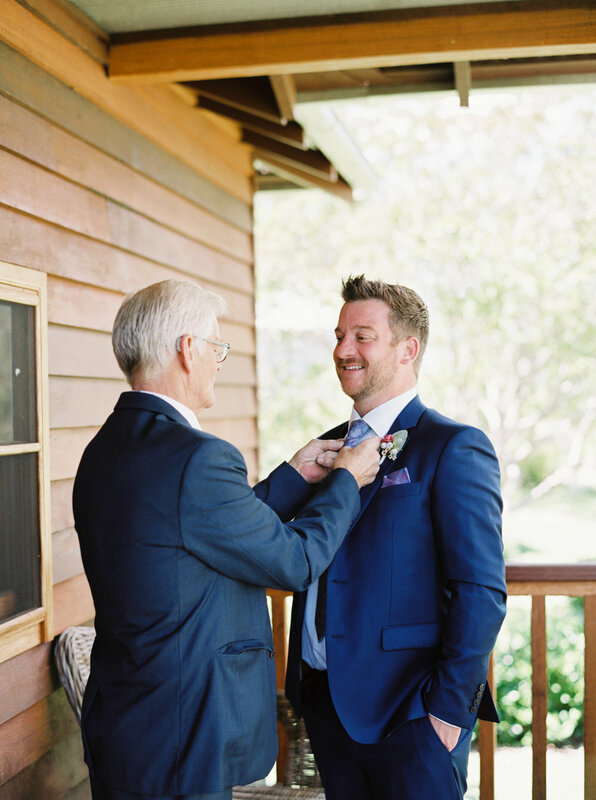 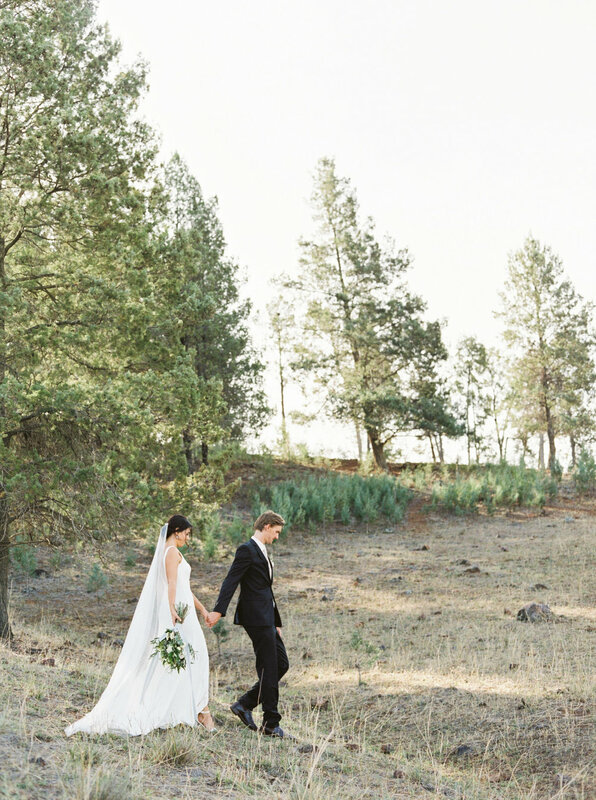 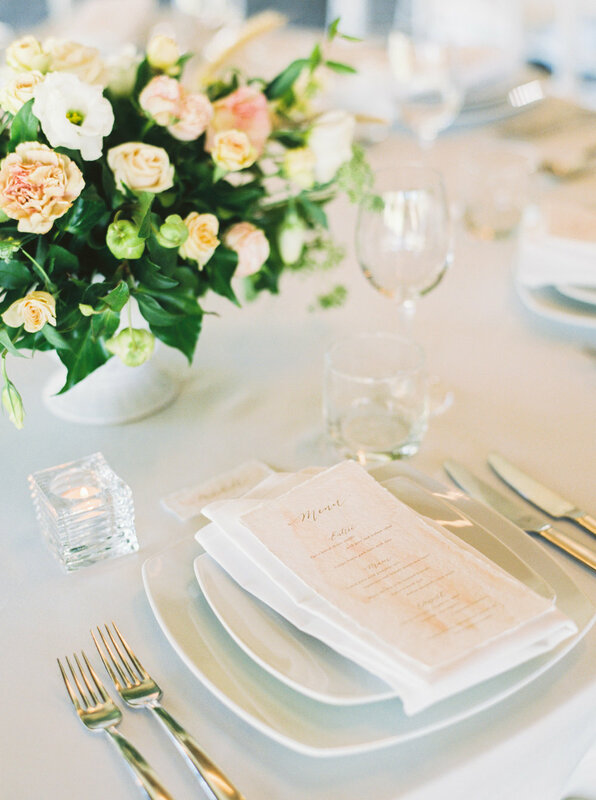 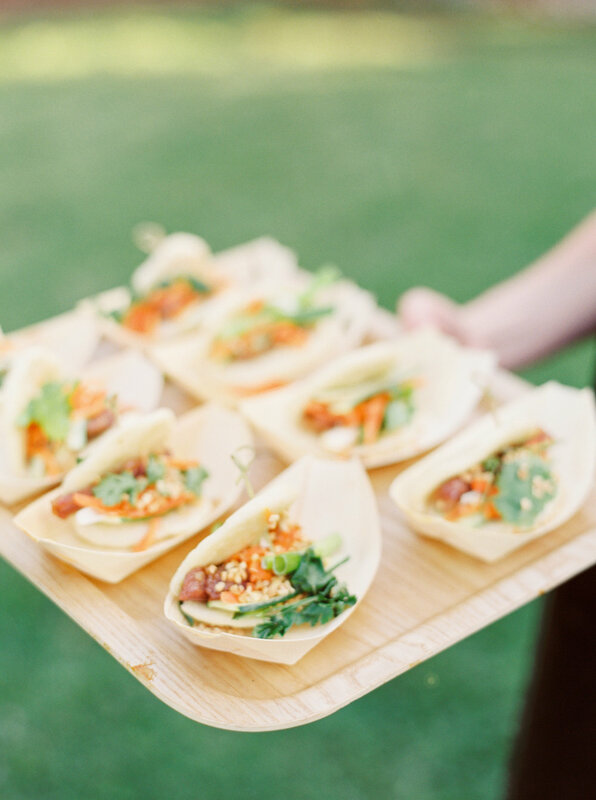 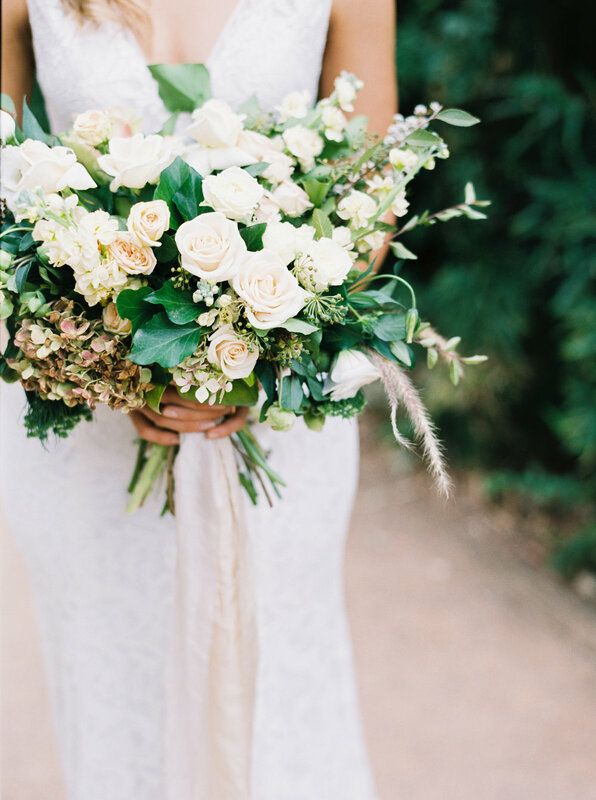 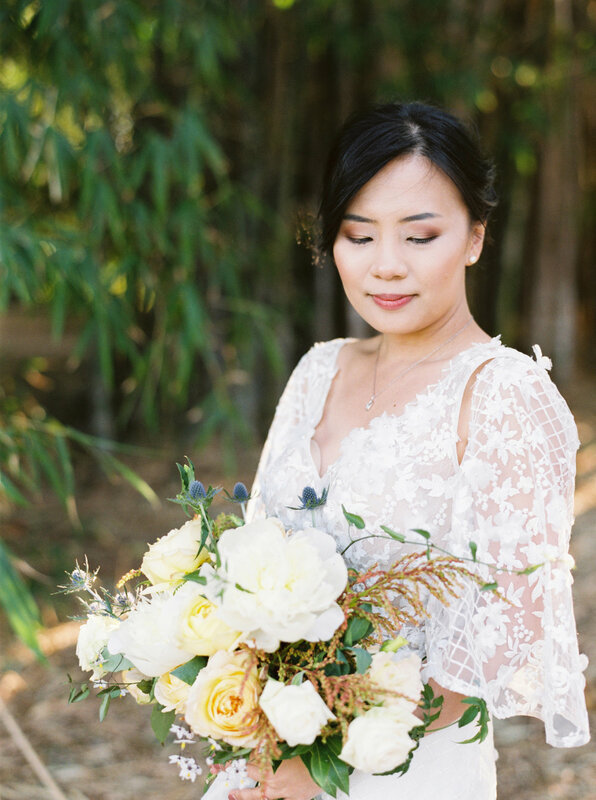 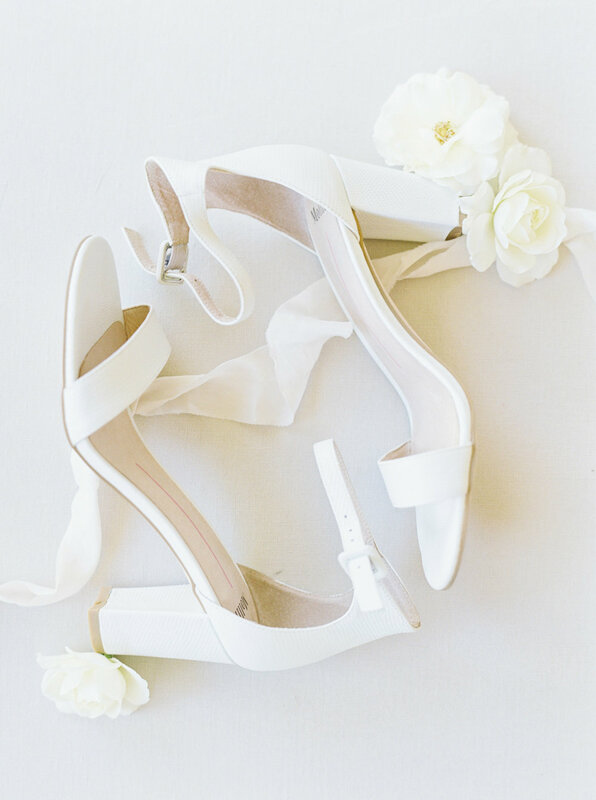 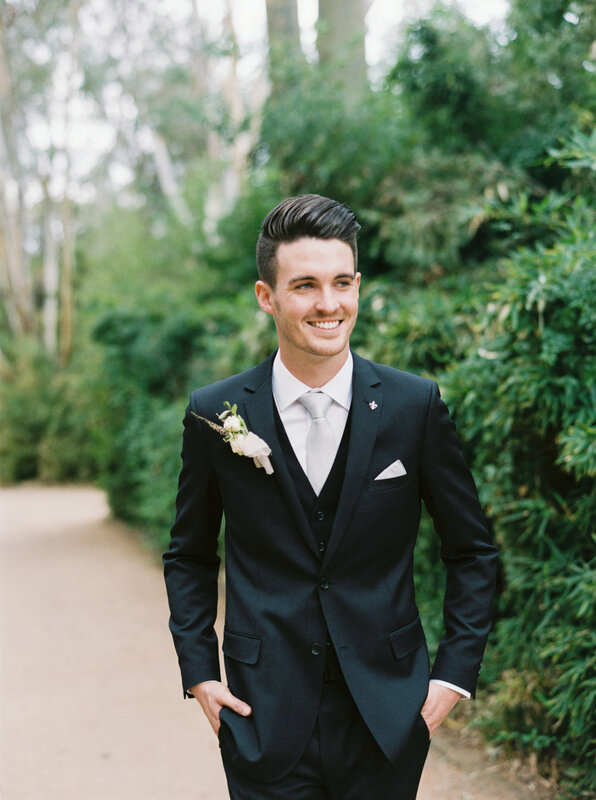 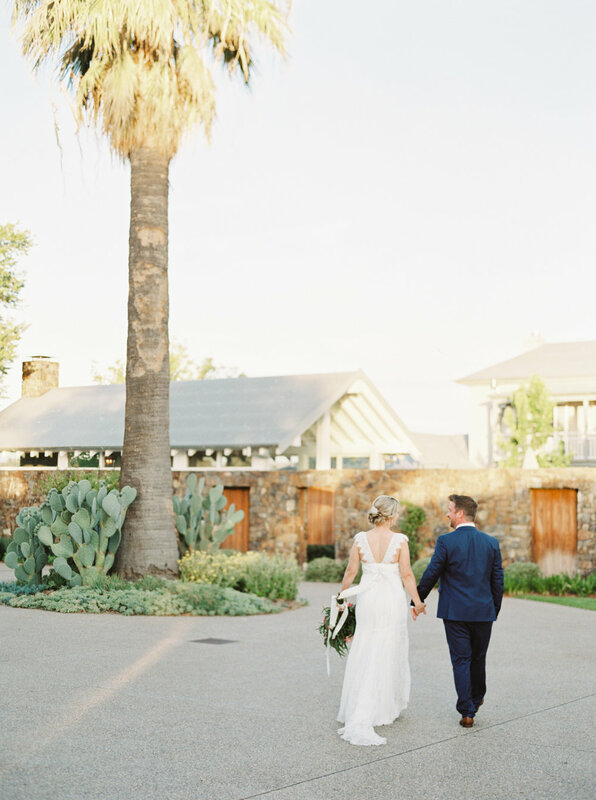 Scroll away and enjoy this Luxurious country wedding, of fine art film photography!